The Chukotka region is one of 85 regions which make up the Russian Federation, officially known as the Chukotka Autonomous District, it was the last part of Siberia to be ‘conquered' or ‘subdued' by the Cossack invaders from the west. The indigenous people of this region include Chukchi, Inuit, Even, Koryak, Chuvan and Yukaghir, the non-native inhabitants are predominately Russian. The Soviet regime initially treated these indigenous people well, but the collapse of the Communist regime in the early 1990s spelt disaster for the people as they had become dependent upon the state. The election of Roman Abramovich as Governor of Chukotka in December 2000 changed the course of its history. His vision, generosity and leadership gave the people hope, and today Chukotka is taking its rightful place in the Russian Federation. 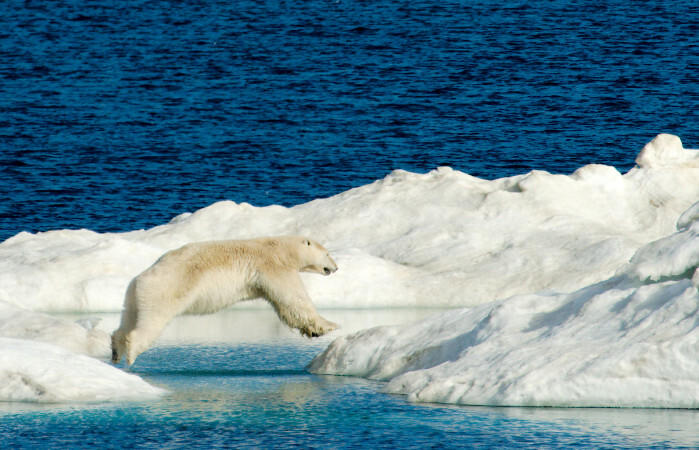 It is rich in natural resources and wildlife is abundant, but like all Arctic fauna, it is under pressure because of significant climate change. North of Chukotka where the Chukchi Sea meets the Arctic Ocean lies the nature reserve and World Heritage site, Wrangel Island, which has outstanding wildlife values. Sometimes referred to as a Polar Bear Maternity Ward, because of the high density of denning Polar Bears, it is one of those islands that never disappointments those who are keen on natural history or enthusiasts of Arctic history. As the ice retreats each summer (further and faster than ever before) Polar Bears come ashore and we see good numbers of these, likewise walrus find refuge here each summer normally in large numbers. Birds like Snow Geese and Snowy Owls also breed here. And of course Wrangel Island is central to the story of the wreck of the Karluk and it features in other Arctic exploration stories. 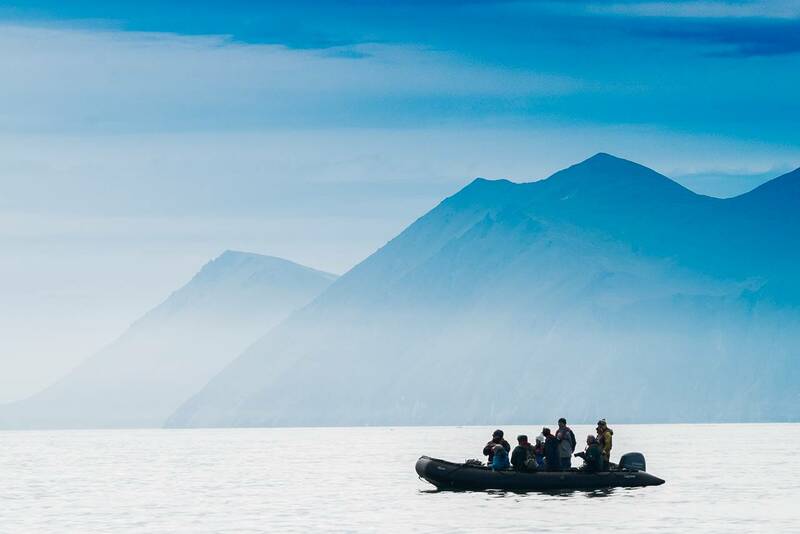 On this special Chukotka expedition we will meet the people; see and listen to their stories and learn of their love for and strong connection with the land and the sea. 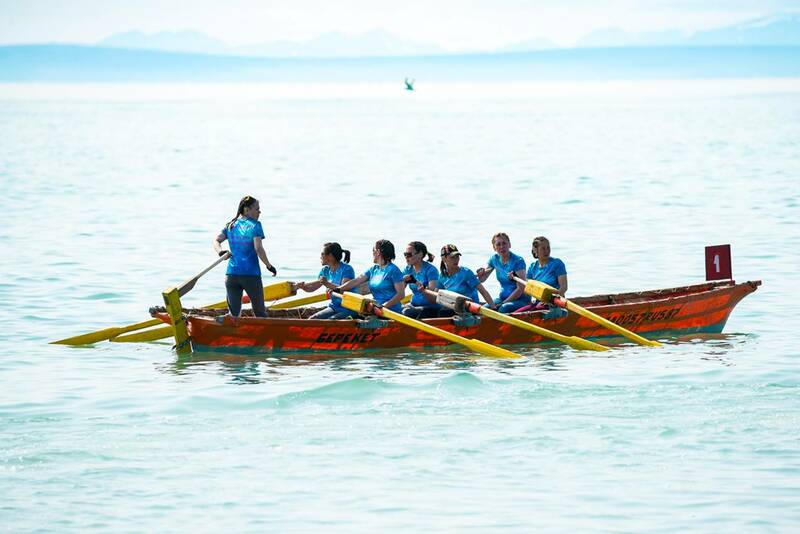 We will celebrate with them at their annual Regatta and Festival. We will explore the vast expansive tundra with its wild flowers and dwarf tree species and we will watch for brown bears, reindeer, Arctic Foxes, ground squirrels, if we are lucky we may also see a Wolverine. We will explore Wrangel Island with its Polar Bears, walrus and rich Arctic history and at sea we will keep a look out for whales. For those departing from Nome, Alaska, your adventure begins with a flight across the Bering Sea and International Date Line, to the remote port of Anadyr. 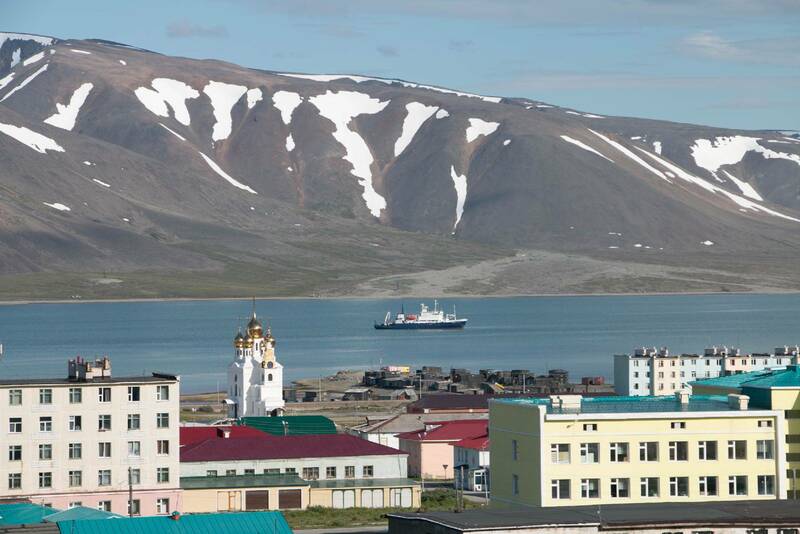 All expedition members will arrive in Anadyr, the administrative capital of Chukotka. Depending on your time of arrival you may have the opportunity to explore Anadyr before boarding the vessel. We will sail in the late afternoon for Egvekinot. This small town was built by Gulag prisoners as a port to supply the rich Lul’tin mining complex some 200km inland, they were then forced to construct a road to the mine. We explore the town which has an excellent museum and plan to travel by Ural to explore along the road towards Lul’tin and into the tundra to gain an appreciation of this unique Arctic landscape close to the Arctic Circle. Across Kresta Bay from Egvekinot is the small reindeer herding village of Konergino. Reindeer herding is still an important part of the indigenous people’s culture and economy, the practice has remained largely unchanged over the centuries and revolves around ‘brigades’ looking after large herds of reindeer out on the tundra. Today is an introduction to and an opportunity to understand this industry/practice. We will be cruising along the south coast of Chukotka today and we will take the opportunity to stop at Presbrazhenya Bay. We Zodiac cruise spectacular bird cliffs which could provide great photographic opportunities. We also plan time exploring the rich tundra landscape for birds and plants. The significant and intriguing archaeological site of ‘Whale Bone Alley’ on Yttygran Island dates to the 14th century, its origins and purpose have been the cause of much debate. Whalebones stretch along the beach in the form of a pathway for nearly half a kilometre. Gray Whales are frequently seen in the vicinity and there may be a chance to go whale-watching by Zodiac. This afternoon we plan a landing at nearby Gil’mimyl Hot Springs. Sea conditions permitting, we plan to land at Cape Dezhnev early this morning; this is the north-eastern most point of the Eurasian continent. 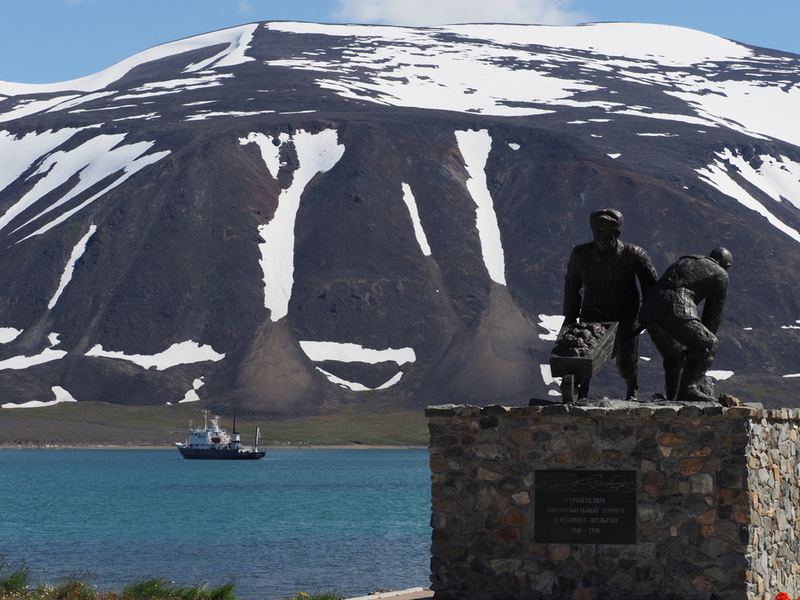 The name commemorates the accomplishment of the Cossack, Semyon Dezhnev, who was the first European to sail through this strait in 1648 (80 years before Bering did). Nearby is the former Inuit village of Naukan, the inhabitants were relocated to nearby villages by the Soviet administration in 1958 but photographs and stories make the site come alive. Relax as we navigate northwards towards Wrangel Island. Ice conditions will determine our speed and course and will ultimately dictate whether we will actually be able to reach the island. 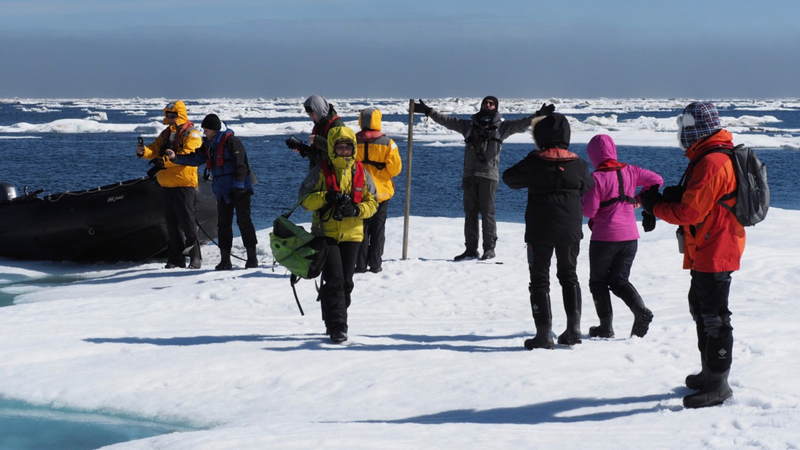 As we approach the island we will spend time searching the ice for Polar Bears, Ringed Seals and Walrus. Should there be opportunities to land we will explore the tundra to look for species which breed here. We have allowed three days on and around the island to take advantage of whatever conditions we encounter and will be utilising the local knowledge of the Park Rangers to make multiple landings and ice cruising. We sail south towards Kolyuchin Island. 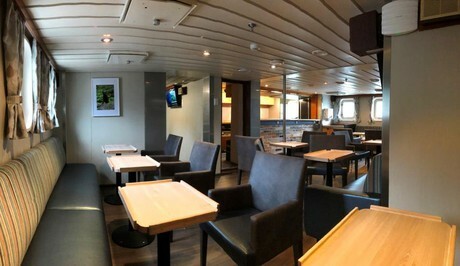 The day is filled with illustrated lectures, opportunities to spend time on deck, relaxing in the ship’s bar and catching up with some reading or download and editing photos. This morning we plan a landing and/or Zodiac cruise at Kolyuchin Island. 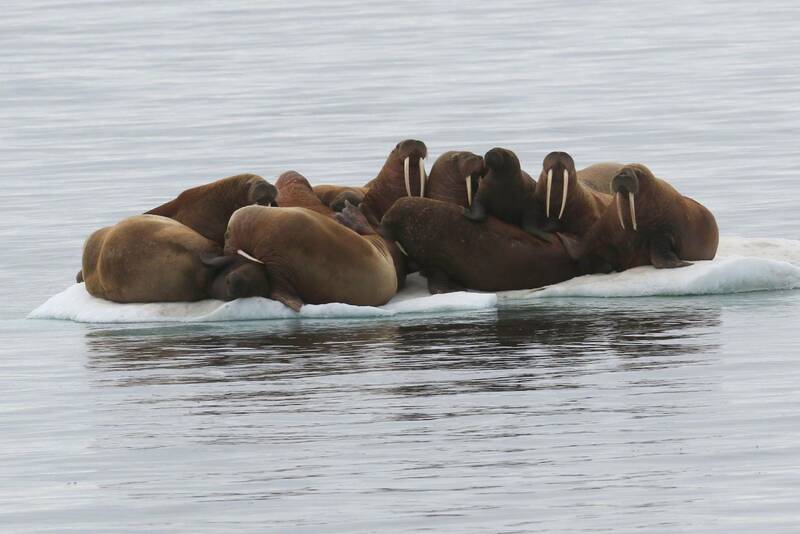 When the ice recedes large numbers of walrus sometimes haul out on the island. At the western end of the island is the remains of a Polar Research Station and nearby are some amazing bird cliffs, where it is possible to get magnificent views (and photographs) of puffins and guillemots. This afternoon we will cruise to nearby Kolyuchin Inlet, a massive tidal estuary and ideal habitat for many bird species, it is early enough in the season for the majority of them to either be on nests or have young. It is an easy landing with lots of opportunity for ‘birding’. 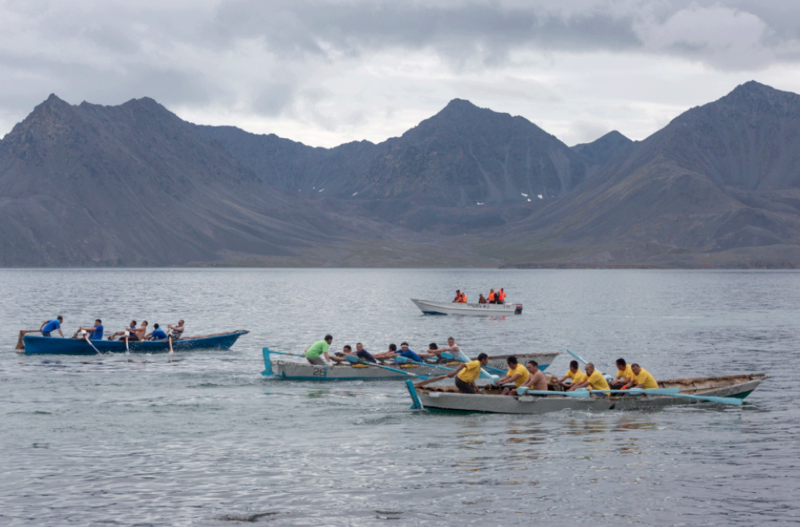 We plan to be here for opening day of the annual Beringia Regatta and Festival which includes Baidara (traditional walrus skin covered boats) races as well as cultural group performances and games. It is one of the most colourful festivals in the Chukotka calendar and attracts people from many villages. There will be a range of activities at the Regatta and Festival and local foods for you to sample and souvenirs to purchase. This is a festival that gets to the very heart and soul of the people, their culture and their land. As we make our way back to Anadyr we will recap the many experiences we have enjoyed on this special Chukotka expedition. After breakfast passengers will be taken ashore, a complimentary transfer to the airport or to a central downtown hotel will conclude the expedition. We had gathered at Anadyr from the Russian Federation, France, Germany, Austria, Switzerland, Lithuania, Australia, New Zealand, the UK and more; flying in from Nome to the east and Moscow to the west. Local ship’s agent and Chukchi man Alexander greeted us at Anadyr airport, shepherded us through visa checks and took us via local transport to the Spirit of Enderby, moored on the banks of the vast Anadyr River. As we approached the ship ground squirrels entertained us with their antics; standing up on their hindquarters to hold and eat bread thrown to them by the Russian sailors and apparently watching events on the ship with keen interest. We were warmly welcomed aboard by expedition staff, shown to our cabins and offered fresh scones and hot tea in the bar/library. After settling in we set off to explore our home for the next two weeks, trying to establish the layout of 5 levels of stairways and corridors between the lecture room and the Bridge. Out on deck we watched buttery white Beluga Whales and spotted Largha Seals hunting salmon in the murky tidal currents beside the ship. Down in the lecture room Expedition Leader Aaron Russ introduced us to our expedition staff and gave us a briefing on emergency procedures. Rachael followed this up with an introduction to life on board. After a wonderful dinner we drifted out onto the decks to watch the seemingly endless evening sunlight on the Bay of Anadyr: Our expedition ‘Chukotka Where Russia’s Day Begins’ was underway! We awoke to a beautiful calm morning, the bright low-angled sun lighting up brightly painted cranes in the Port of Egvekinot, coal-conveyors, colourful 4-storey apartment blocks and the gilded domes of an orthodox church. The waterfront was a study in decaying boat sheds: wooden structures covered in battened tar-paper leaning perilously, one collapsing into the sea. In some men worked on boats or outboard motors, ready to make the most of the salmon run. The whole scene was a study in contrasts, made even more dramatic by its backdrop of stark rocky mountains still streaked with winter snow. As we approached our landing beach, a young Ringed Seal sitting in an outboard motorboat leaned over the side to watch us, looking for all the world like the boat’s driver. Vincent spotted a mother brown bear with 2 cubs waling along the far shore. First stop was the local museum where a local woman guided us through the story of this fascinating part of Chukotka. Settlement was as early as 4,500 years ago but the recent history began with Vitus Bering who charted it in 1728. The modern town was founded by gulag prisoners in the 1930s to 50s, another of their unhappy legacies a 200 kilometre road inland to a tin mine, made in bitter conditions with primitive tools and in makeshift housing. Surprisingly some of their descendants have since made Egvekinot their home. In the nineteen thirties it became one of the first gulags used by the Stalin's regime. Statistics from that era are hard to verify but “thousands of men came and many died” according to our guide. Woolly Mammoths were common here up to 5,000 years ago, along with a unique hairy rhinoceros, endemic to the Russian side of Bering Strait. The museum’s sole surviving horn from this animal is highly prized. The wide representation of Yupik and Chukchi artefacts, many made of marine-mammal bone or walrus tusk, were beautifully and decoratively worked. Another display included minerals, as tungsten, tin and gold-mining have all featured prominently in the town's history, and gold-mining continues. There was a high level of cooperation between the Americans and the Russians during World War II, evidenced in the museum by a display about the ‘Lend-lease’ programme, whereby America provided Russia with airplanes to fight Germany on their western flanks. Ekveginot was on a direct route from Fairbanks in Alaska to Uelkal in Russia and Russian pilots transited the town in large numbers during their delivery of these aircraft. Egvekinot these days is more connected to the outside world, with a smart supermarket and bakery, post office and other facilities. Outside the museum 4 Yupik girls in tight jeans and ear-studs strolled and chatted on their mobiles. After lunch we drove up the Kyrvakyntvama Valley into the hinterland in ‘go anywhere’ 6WD Ural trucks until we reached a steel archway constructed over the road, marking the Arctic Circle. At 66.34 degrees north this marks the most southerly latitude to experience continual daylight in mid-summer and continual night in mid-winter. The surrounding countryside had all the classic features of past glaciation, with wide U shaped valleys and lateral moraines. We explored a little gully up the side of a moraine wall, where a large snow-drift was melting back to reveal a rich diversity of lichens and flowering tundra plants; Ranunculus, Epilobium, tiny Rhododendron, saxifrage, rose-root stonecrop (Rhodiola), cinquefoil. Lichen of many colours grew in profusion; leaf-like, stringy, hair-like and moss-like. Three guard-houses from the gulag era still stand beside the road: The political prisoners slept in makeshift ‘pit-huts’ nearby, their remains almost obliterated by time. We returned to the ship for a wonderful hot dinner as we got underway and sailed eastward. Another huge day, starting with a Zodiac cruise to the seabird-nesting cliffs at Presbrazhenya on the northern coast of the Bay of Anadyr. We divided up roughly into language groups: French, German, Russian and English, with guides to suit. As we left the ship, keen eyes picked out a mother bear and two cubs crossing a distant snow-patch at the head of the bay. Large flocks of Crested and Parakeet Auklets rafted noisily beneath the cliffs as we approached. Others flocked and swirled across the sea’s surface then soared up the cliffs toward their burrows and nests high in the stark, rocky mountainsides. In contrast to the brown rocks, bright green patches stood out above the cliffs where generations of nesting seabirds had fertilized the ground and paved the way for plants. As we drew near the bird-cliffs the cacophony grew louder and the sky became a calligraphy of birds; kittiwakes high and strident, the whistles of Pigeon Guillemots, chatter of Parakeet Auklets and the throaty cawing of Guillemots. Glaucous Gulls harassed a group of guillemots into leaving their ledge, then slipped in to carry off eggs to feed their own waiting young, already well-advanced. 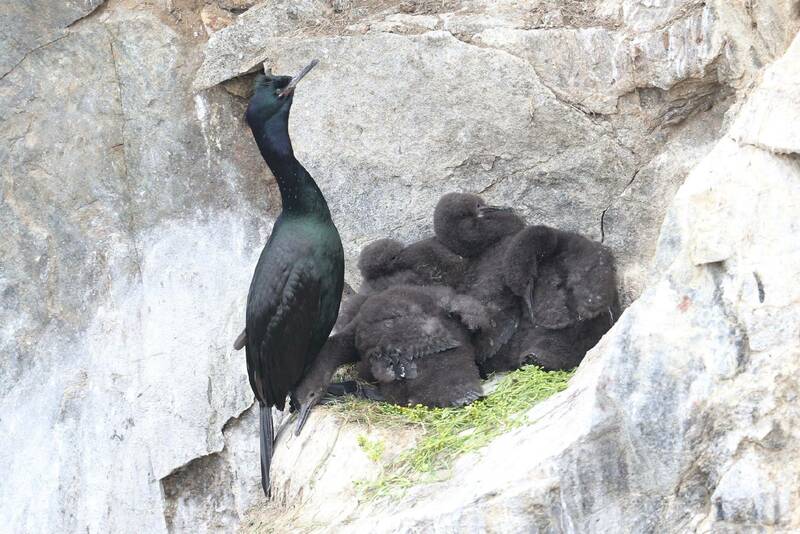 A small group of Pelagic Cormorants nested on a free-standing spire of rock, their necks iridescent purple and green in the sunlight. 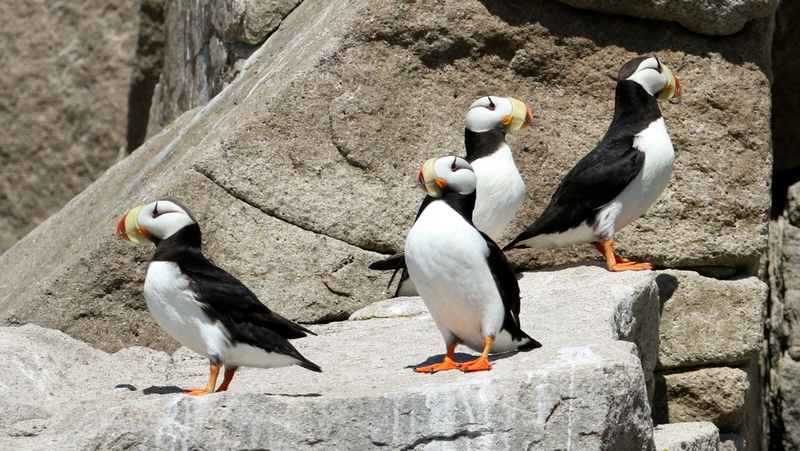 Horned Puffins nested in fissures in the rock, safe from marauders. Just above the cliffs a group of Tufted Puffins stood on a grassy rise next to their burrows. A rounded, rock-like shape near the Zodiac turned out to be a walrus, which eventually raised its whiskery head, red eyes and alien ‘vacuum-cleaner’ mouth above the surface. A group of Harlequin Ducks floated single-file along the surge-line, their contrasting black, white and brown markings very striking. We glided beneath vertiginous chasms and spires of rock hundreds of feet high, forming all kinds of suggestive shapes: a hand here, the figure of a monk there, a dragon’s back, a headstone. We’d just had lunch when the bridge called, “Orca near the ship”! We had great views of a huge male, its 2 metre dorsal fin see-sawing in and out of the swell. After lunch we cruised at a place that translates as ‘No-name Bay’. Cliffs and spires hundreds of feet high rose sheer out of the sea and towered over us. Some rose straight out of sea, their bases riddled with caves and fissures and every available shelf occupied by nesting Northern Fulmars and Pelagic Cormorants. Harlequin Ducks bobbed against the rocky surge-line, remarkably well camouflaged considering how striking their plumage is. We rounded a point where the coastline Noname Bay opened out into a broad sandy bay and watched a brown bear ambling along the base of an old lateral moraine. We came to a wide river mouth at the entrance to a lagoon and deep valley into the hinterland. After watching the pattern of waves on the bar we took the Zodiacs up into the lagoon. Some of us probed upstream for a few more bends in the river. Other Zodiacs explored the lagoon further up to where a distant bear had been spotted on the tundra. A tiny rustic fishing hut stood inside a sheltered ‘hook’ of gravel at the base of the enclosing range of bare mountains, the only evidence of human activity in this vast landscape. We heard the cry of Sandhill Cranes and watched Largha Seals fishing for salmon near the entrance. The day was topped off by a gorgeous sunset at 9.45pm, the sky lit up like a shield of beaten gold, with Humpbacks blowing in the distance. ‘Whalebone Alley’ is a prehistoric whale-hunting site on the shores of Arakamchechen Island, protected within Beringia National Park. It contains the remains of stone-walled whale meat-pits, with pairs of Bowhead Whale skulls embedded in pairs along the foreshore and upright Bowhead Whale jawbones 4 metres high embedded in the sand. The likely use of these structures was for drying and storing skin-clad boats (‘baidara’) and drying skins and strips of meat above the reach of sled-dogs. After landing on the beach we were met by Russian rangers, who explained the history and natural history of the site. In more recent times (the last 150 years), the site was also home to several Yupik families until their community was disbanded in the 1950s under Soviet centralisation policies. We were then free to explore, watch the ground-squirrels, botanise or accompany Dan & Chris for a walk to the top of the hill. The latter enjoyed magnificent views out over the channel to the low, snow-clad mountains of Yttygran Island and the mainland. There were a number of old graves near the summit, evidenced by rocky pits, pieces of weathered wood and a few old household items, typically interred with the dead. 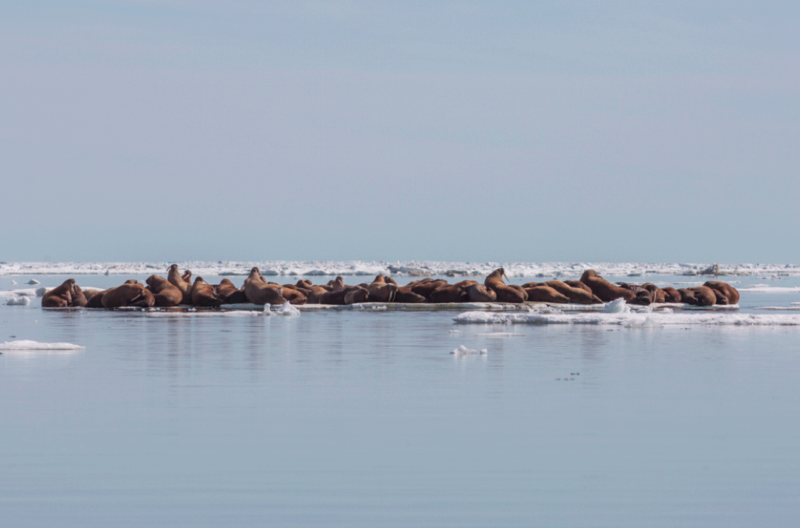 From the summit we could hear a large group of walruses barking from their haul-out on a spit 2-3 kilometres across the channel. The tundra was in flower, including purple frigid shooting star, mauve bistort and crimson rhododendron. 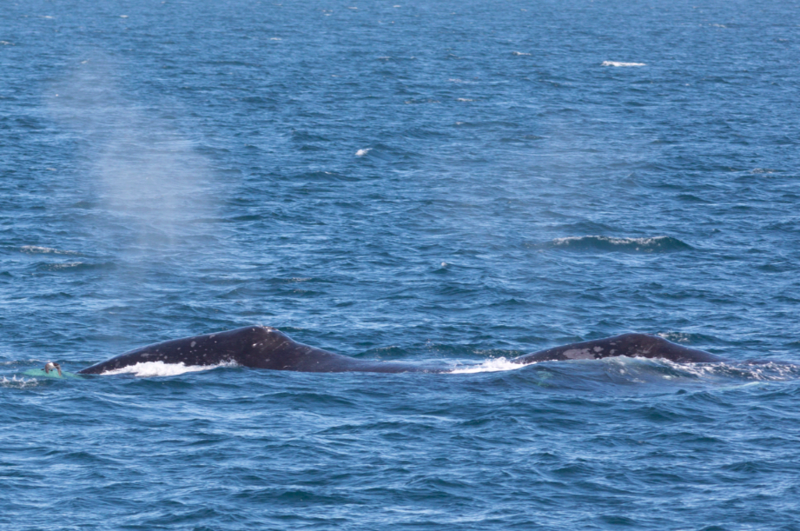 At lunchtime we again had the pleasure of whale-watching, this time Humpback and Gray Whales feeding near the ship. After lunch we headed to the tundra and hot springs at Gil’mimyl, which we entered via a small lagoon. One group went bird-watching and the rest across the tundra more directly to the hot-pools. They were extremely hot, so pairs of us took turns ferrying cold water in a 35 litre milk-urn from the river to the hot-pools; just enough to get it down from about 60 to 55 degrees. This was still way too hot unless you followed a technique demonstrated by Captain Alexander and soon copied by others: First, jump into the icy river below the hot pools. Before you recover from the shock of being chilled, leap immediately into the scalding hot pool. This double ‘Arrrgh!! !’ experience was extraordinarily bracing. 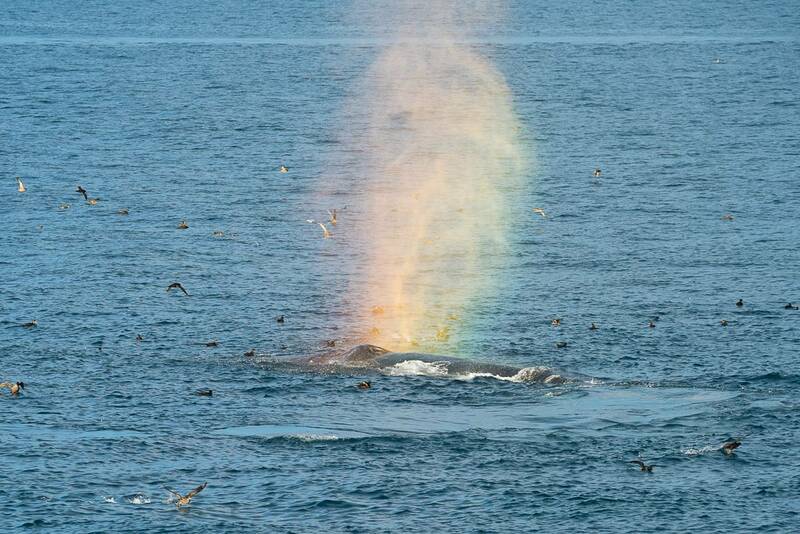 The sun slowly lit the sky golden until after 10pm tonight, with scores of whales blowing and diving in all directions, their mist from their blows illuminated against a dark sea by the setting sun. The day started with the fog lying thick over the ship concealing Cape Dezhnev’s coastline close by. We had no idea if a landing would be possible, if the placid waters were concealing a surge on the beach, or even if there was a beach to land on (it has a habit of getting washed away in winter storms!). A scout boat was launched and vanished out of sight into the fog. Twenty minutes later it returned with good news. There was a beach, the surge was minimal, the fog was lifting, and a landing was on. We shuttled in, the Zodiacs in turn melted out of sight before reappearing at the ship passenger-less. We gathered on wave polished pebbles at the base of a steep bank, above us stood the remains of the old settlement. After a yomp along the energy-sapping beach we made our way up the bank, along an old track which wends its way between the abandoned ruins of the Yupik village. Circular stone foundations had endured the elements with the old Bowhead Whale jawbone or rib slumped within it, the old supports for the roof structure. Just above the beach an old meat pit remained, now half collapsed but the persisting section still turf-lined on a whalebone roof. Further along the bank newer buildings were already falling into dereliction. A bell erected by a wayward Kazahk the only chime of life in this ghosted settlement other than the ubiquitous and vocal Arctic Ground Squirrels. The silence was bliss and an immensely peaceful feel prevailed. A solitary Gray Whale swam along the coast its breaths audible from the village. Back on the beach the Zodiacs slid across the glassy water scattering Least and Crested Auklets. Streams of birds predominantly auks and shearwaters headed north through the Bering Strait into the Chukchi Sea, an indicator of just how rich these waters are. Back on board we made our way through Humpback-rich waters to Uelen Village, a small settlement situated on a spit. Whilst Elena made the necessary landing arrangements the Zodiacs launched and headed into the large lagoon behind the village battling our way through the choppy waves and biting wind to the lee shore where King and Common Eiders had gathered and our first White-billed Divers showed well, there massive black heads and ivory bills projecting above the waves. A single male Spectacled Eider also put in a flyby with a flock of Common Eiders. We arrived into the village and strolled through the buildings to the museum. Here we were treated to a fascinating insight into the history of walrus ivory engravings and carving, not to mention the phenomenal display of artefacts, many of the tusks depicting entire stories of life in the Arctic. Back on the ship it was time to defrost, feed up and enjoy the Chukotkan coastline from the comfort of the Bridge. As the light dimmed ice appeared, blankets of it. All around it hundreds of Humpback Whales and thousands of Crested Auklets were actively feeding, in fact over the course of 12 hours there may have been in excess of 1000 Humpback Whales. Blow after blow punctuated the horizon as animals surfaced, the low golden sunlight catching the water vapour and illuminating it. A handful of adult Sabine’s Gulls fed along the edge of the ice and the a few small groups of walrus were hauled out taking advantage of safe refuge to rest. What a perfect end to an amazingly diverse day in the Arctic. As we stirred on the ship it was clear we weren’t where we should be. There was no land in sight, just sea… and ice. This year the ice has been late to clear the coast and the ship had continued through the night along the ice edge, and to the north. Aaron made the call to head to Kolyuchin Island which meant tracking back on ourselves and through the ice to the small island out off Kolyuchin Inlet. Humpback Whales appeared in abundance; in fact they had remained abundant right through from yesterday evening with some of the highest densities of whales we have ever seen. As Kolyuchin Island came into view many of us gathered on the bridge to see this Arctic island take shape. Thousands of seabirds swirled around the cliffs and as we approached the eastern side a small snow bank had a suspicious looking addition. A closer inspection revealed it to be our first Polar Bear! Backing the ship off around the corner we dropped anchor and lowered the Zodiacs heading back towards the island. Carefully edging around the corner the bear was still settled on his snow drift and proved to be one of the most obliging and laid-back bears imaginable allowing us to approach and frequently rolling over to stretch and yawn. Occasionally he covered his nose with his huge paws or tucked them in under his head which flopped down looking our way. At one point he clearly decided his current position wasn’t too his liking and carefully pawed a little snow out from underneath him to make himself more comfortable. We could not have asked for a better way to kick off our Polar Bear experience. In between viewings we slowly explored the seabird city that claims the cliffs as home. Tens of thousands of Common and Brunnich’s Guillemots, and kittiwakes, and a smattering of Horned Puffins adorned the ledges with vociferous enthusiasm, occasionally taking flight en masses above us. After a warming lunch we headed on south through the ice towards Kolyuchin Inlet and came to rest on the north side of Belyaka Spit, a huge protective bar that separates the inlet from the Chukchi Sea. We shuttled everyone ashore between the ice and split into two groups, one for a birding and wildlife walk and the second a longer stroll down the beach to look for some very obliging Humpback Whales. At first glance the tundra looked relatively life-less. A fox and a young brown bear had left neat paw marks in the sand at the top of the beach but there was no sign of either animal. As we approached the first pool a Grey (Red) Phalarope swirled out from the edge, spinning around on the surface to draw up tasty morsels from the pools muddy bottom. Shortly after a Red-necked Phalarope skulked through the pond-edge sedges. Both these species show reverse sexual dimorphism, the females being larger and more brightly coloured than the male who takes on the role of incubating the eggs and raising the chicks. Five swans flew by; amazingly it included a trio of Trumpeters and a pair of Whistling (Tundra) Swans. The pools here are home to one of the largest and most striking of Arctic birds, White-billed Divers, and they soon became evident with a pair on a nest on one pool whilst another pool held a pair that allowed close approach. As large as a goose, jet black and white with a huge ivory-coloured bill, there is no mistaking them. An adult slowly swam up towards us as we crouched and lay on the pool side, cameras poised. Perfect white squares chequered its back, a swathe of white ‘gill’ lines on its neck and a necklace of white spots on its throat create a striking pattern. Tiny droplets of water laced its crown which glinted with a muted green and bronze iridescence. Behind this striking front a burgundy eye kept track of our every move. From another pool a yodelling cry from another pair flooded across the landscape. As we headed back to the beach a majestic flock of over 50 Long-tailed Skua’s jinked and arched above us catching mosquitos much as a swallow would. Occasionally they dropped to the ground to walk amongst the vegetation where they also picked for insects. These stunning birds spend the winter in the Southern Hemisphere travelling north to breed on tundra where Lemmings form the bulk of their diet. Their smart patterning is always a pleasure to see with a neat black cap, buttery underparts, grey-brown upperparts and an exceptionally long tail which flicks and whips as they manoeuvre to catch their prey. A distant Arctic Fox scampered away as we headed back towards the beach. The second group had joined local ranger Alexei who offered to show everyone how he caught and then banded (ringed) his study birds. Watching from a raised mound, Alexei skirted around the edge of the tundra to set his net and it wasn’t long before a male Ringed Plover duly obliged and walked within range. The net was triggered and the bird caught. Carefully he collected the nearby eggs, packing them into a cottonwool-lined container which slipped into his jacket, keeping the eggs warm. The bird was then weighed, measured and marked with two rings and a small flag which allows it to be individually identified in the field by Alexei. The highlight for Ksenia was getting to release the plover once the demonstration was over. Back at the waters edge the Humpbacks were still feeding like there was no tomorrow after a huge migration north to Arctic waters. To see so many animals and so close to shore (within 30m) was truly exceptional. It is quite some experience to be able to sit on a beach with hazy warm Arctic sunlight invigorating the skin listening to the monstrous exhalations of these le-viathans as they repeatedly surface. With a superb landing under our belts we boarded the ship and set sail north heading towards Herald Island to avoid the dense ice floes to the west. The ice maps had dictated a course. Wrangel looked to be set in ice so the ship steered north towards Herald Island, a small island east of Wrangel and seemingly lacking the volume of ice. This sea day came as welcome downtime for many, a chance to download photos, relive memories, or simply relax. Over the course of the day three lectures stimulated those still with space in their brains to absorb more. Dan kicked off the programme with a lecture on identifying whales and dolphins, from knowing the difference between blows, to dorsal fin shape and how this all applies to the whales we had already encountered and those we might expect. Elena then continued with a fascinating insight into Chukchi life. During the afternoon Michael stepped up with a brilliant summary of the Ice Kings, Polar Bears, detailing their life histories, distribution and threats. The lectures seem to fill the time well and before we knew it the fog that had cloaked the sea started to lift and break revealing a stunning ice strewn marine landscape and beyond it the dark mass of Herald Island. Fog swirled around the jagged cliffs and no sooner had it cleared than it slipped back into its grey clutches; and such was the story until dusk with the visibility ebbing and flowing. The dazzling light of the sun created beautiful monotone scenes, vivid fogbows and occasionally bright blue patches of sea and sky. The ship pressed on through the ever thickening ice with large clunks and growls as she ploughed through the pack, some blocks sending a shudder down the ship. With the day coming to the leisurely end the call went out from Aaron at 21:30. A sleek young Polar Bear stood proud on the ice edge. Inquisitive it slipped into the water with barely a ripple and headed our way. The Captain and team did an expert job slowing the vessel down and the bear came over to investigate, pausing on a small flow, even laying its head down briefly before deciding we weren’t of interest or maybe weren’t edible and paddling off back to the main ice edge. What an amazing end to this expedition day. We might not have left the ship but the wildlife had come to us. During the night the Captain and his Officers navigated the Spirit of Enderby through the sea ice towards the eastern part of Wrangel Island. It was a slow journey at times with some heavy ice but by the time most people got up, the ship was approaching Dragi Bay on the eastern side of Wrangel Island. After breakfast, Expedition Leader Aaron and some of the Expedition Team headed ashore to meet the Rangers and to drop off 600 kgs of food and other supplies which Heritage Expeditions had agreed to deliver for the Park Staff. Once the provisions were ashore, the Zodiacs began shuttling everyone to the landing site where we met Senior Ranger Gernardi and two of his colleagues. We set off along the shore walking towards a small monument which commemorated the expedition of the ship Caluit which had been crushed in the ice 100 years ago and the survivors had lived in Dragi Bay. After learning about this expedition from a short explanation by Chris Todd, many admired the tundra flowers which were growing all around us. Almost all the species were only a few centimetres tall as a strategy against the wind. One of the taller species was the beautiful and endemic Wrangel Poppy which had a fantastic lemon yellow flower. 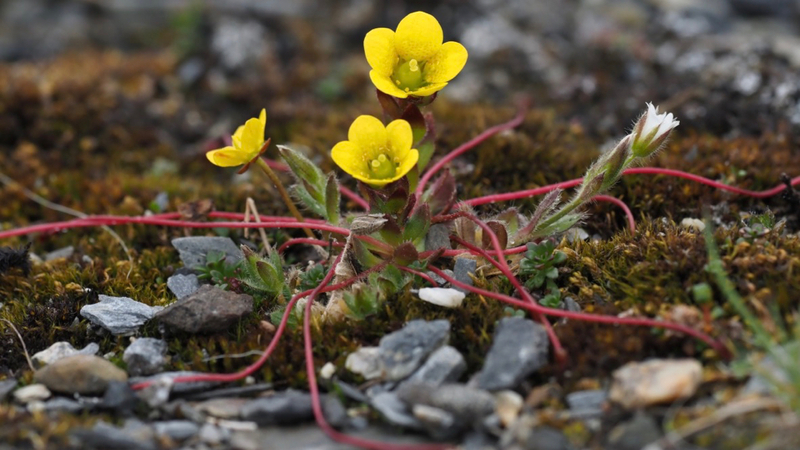 With Wrangel Island having once been part of the Beringia and avoiding being covered in ice during the last Ice Age, we learnt that there was a far bigger diversity of plants than one would ordinarily expect at these latitudes with a relatively high number of endemic species. We walked onwards towards a small promontory at the northern end of the bay where in one direction there was a great view out across the sea ice and looking the other way we could see the Ranger Station where Gernadi and his team had spent the previous night. There were a few birds about with a few Snow Buntings flicking around the rocky cliffs and Black, Common and Brunnich’s Guillemots on the sea below us. Returning to the Zodiacs we took a slightly different route walking inland for a few hundred metres and as well as more flowers, we also saw a couple of species of shorebirds, the Grey Plover and Turnstone, which were presumably breeding out on the tundra. Both were in their full summer plumage and the plover had a dappled grey, white and black back with a rich black belly and breast. Continuing onwards we found the footprints of several Musk Ox and at least one Polar Bear and several people put their hands alongside the paw print of the bear to gain a full appreciation of how large this huge carnivore actually is. Returning to the ship for lunch, the intention had been to return ashore at 14:30 for some further exploring, however, with the ice moving into the bay, the Captain and Expedition Leader Aaron concluded that it would be better if we dropped off the Rangers (who had joined us for lunch on the ship) and waited to see what the ice did. It was soon apparent that this was rapidly filling the bay as the tide had turned so once the Zodiac had returned from dropping off the Rangers we headed offshore in the hope of finding some open water. The sea ice had, however, packed in considerably since earlier and the Captain and his Officers had a challenging time on the Bridge picking a route through the ice which was now covering well over 90% of the water surface. During the afternoon, we navigated slowly through the ice but with restricted visibility due to fog not much wildlife was seen, although it was interesting to watch the Black-legged Kittiwakes which have learnt to grab small fish as the ship broke through pieces of sea ice. 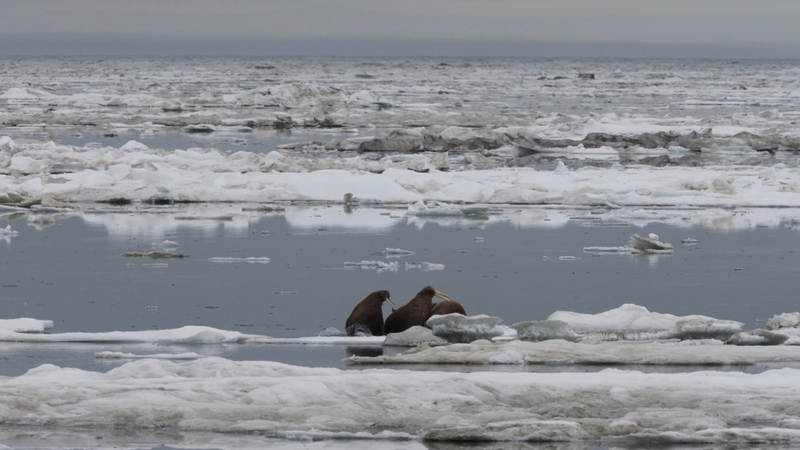 As dinner was about to be called, Expedition Leader Aaron announced over the PA system that a group of walrus had been spotted on the ice, however, as we quietly approached, they all slipped into the water. With other groups also hauled out nearby, he asked the Captain to allow the ship to drift over dinner and afterwards many people headed back outside or to the Bridge and over the course of the next hour enjoyed some great views as we slowly cruised onwards. It had certainly been a highly memorable day on Wrangel Island!! During the previous evening’s recap and briefing, Expedition Leader Aaron had explained that his plan was to head to an area south-west of Dragi Bay called the Clark River, however, given the ice conditions he was not sure if we would be able to reach it and when we awoke, the ship was several miles offshore. Aaron advised us over the PA system shortly before breakfast that the ice conditions had indeed been too bad when the ship had approached and his plan was to head eastward in the direction of Herald Island. After breakfast, there was a relatively short period when the sea was almost ice free but by late morning we were back in sea ice and the decision was taken to go for a Zodiac cruise. Shortly after the boats were launched, the fog dramatically cleared and we spent over an hour cruising around viewing the vast range of shapes and sizes of the ice. All the boat drivers chose a spot and everyone was able to climb out of the Zodiacs and take photos standing on the ice. It was a truly unique experience. Returning to the ship, we enjoyed lunch but there was little opportunity for relaxing as not long later there was an announcement to advise everyone that we were approaching Herald Island and that at least one Polar Bear had been spotted walking along the shore. With the seabed immediately offshore from the bear not well charted, it was not possible to take the ship particularly close but we were able to watch it wander along the ice below the impressive cliffs off the northern part of the island. Moving onwards and with plenty of ice and great visibilities, we had high hopes of finding a closer bear and barely a few minutes later, another one was spotted sleeping on an ice flow. Once again, the area was not well charted but as we were further offshore the Captain slowed the ship to little more than a slow crawl and with a watchful eye on the depth sounder, we edge forward. The bear seemed to be sound asleep on the flow and we were less than a couple of hundred metres away when it awoke and looked up at us. Standing up, it had a good sniff of the air and then ambled across the floe giving us some fantastic views and photographic opportunities. Reaching the end of the ice, it jumped into the water and swam off – it had unquestionably been our best bear encounter of the expedition. Continuing on we had hopes of further encounters but suddenly the fog rolled back in and the visibility went to not much more than 50 metres so many people headed inside, knowing that the chances of another bear was low. 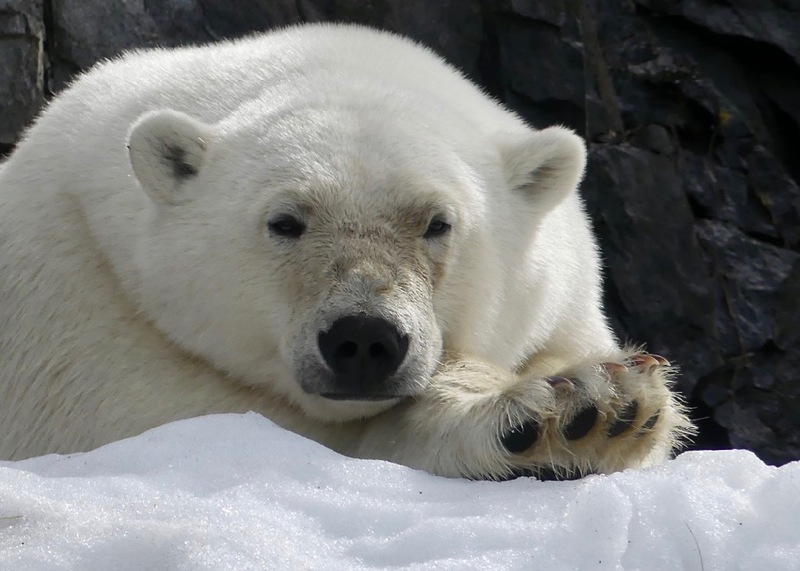 At the nightly recap, Michael Wegner gave a short presentation about the fat scale for Polar Bears and the consensus was that all the bears we had seen were healthy and well fed; indeed Michael judged that our last bear scored five on the scale, i.e. it was as fat as they came. After Michael had finished speaking, Expedition Leader Aaron gave us an update on the plans for the next few days. He explained that with so much ice around the eastern side of Wrangel Island, he did not believe it would be possible to get ashore again and with a weather system with winds of 35 knots forecast to pass over the island, the Captain wanted to be clear of the sea ice, so the decision had been taken to head back to Chukotka. After another excellent dinner from our chef Ed and Lance, many took the opportunity to secure their belongings in case the weather deteriorated in the night. Although our stay around Wrangel had been a little shorter than some had hoped, nevertheless, we had been extremely fortunate, with close encounters of two Polar Bears as well as getting ashore on this fabled island. Fortunately the overnight sea conditions were comparatively smooth as the weather system Aaron had spoken about the previous evening, tracked eastwards to our north and we awoke to good visibility and the expectation of a day at sea. After a 08:00 breakfast, the first activity on the programme was a lecture about ice by Lydie who spoke about sea ice. Lydie explained how this was formed and some of the terms which were used to describe different stages in this process, such as grease ice and frazzle ice. She also told us that there had been a marked contraction in the amount of sea ice in the Arctic and more recently in the Antarctic and that there were concerns that this could have significant consequences both for the marine environment but also for the animals which lived there. Later in the morning, Chris Todd gave a presentation about the edible plants of Chukotka. Chris spoke about thirty plants, seaweeds and fungi which the local people of Chukotka used for culinary purposes. He described how these were harvested, prepared and eaten. Shortly after lunch, the Sea Shop opened in the portside restaurant and everyone was able to browse and purchase a selection of products including T-shirts, pin badges, soft toys and fridge magnets. Outside the weather had continued to deteriorate and many took to their beds to ride out the worst of the storm. With the wind more or less on our bow and blowing at a constant 35 knots, there was a reasonable amount of movement on the ship but by late afternoon, the conditions began to improve and many of those who had felt somewhat queasy earlier (as a result of the movement of the ship) were soon improving. Outside we began to see a range of wildlife with thousands of Short-tailed Shearwaters and good numbers of Grey Phalaropes. The latter were in their summer plumage and the North American name, Red Phalarope, certainly seemed more appropriate with many of the birds having brick red bellies. Later, many joined the Expedition Team in the Bar where the recap topics included a short presentation by Chris Todd about walruses which was followed by Chris Collins who spoke about the amazing migration route of the Short-tailed Shearwaters. Chris explained that many of these bred on Tasmania and they could be seen south of 70 degrees south on the Heritage Expeditions trips to the Ross Sea and we had seen them north of 70 degrees north. 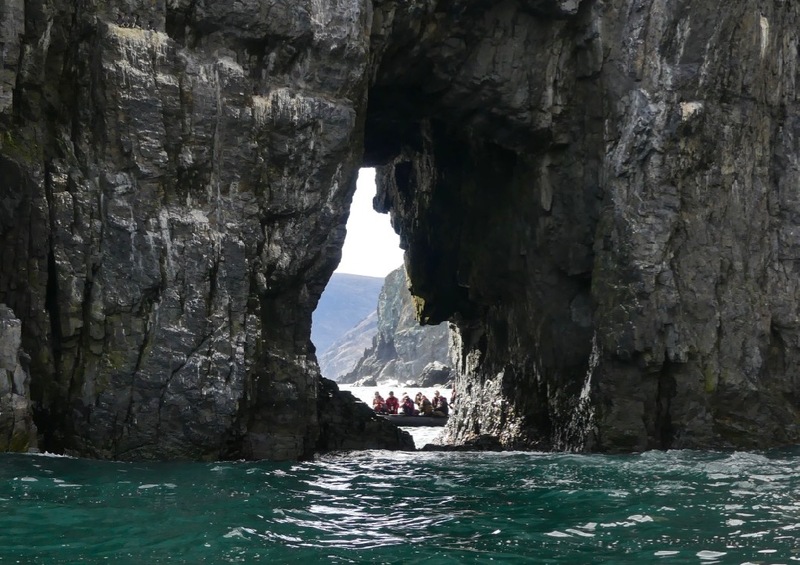 The recap was followed by an update from Expedition Leader Aaron who informed us that the following day would be an “Expedition Day” as we would be visiting a headland which none of the Expedition Team had ever visited before. It promised to be an interesting experience. During the night, the last of the weather system moved away to the east and we awoke to a flat ocean and the return of sea ice. As soon as breakfast had finished, Expedition Leader Aaron set off to scout the Sertse Karmen Peninsula and he soon radioed the ship to confirm we would be exploring by Zodiac with the likelihood of a short landing. Whilst we waited for him to return, however, there was an extraordinary spectacle with wave after wave of King Eiders flying past the ship. 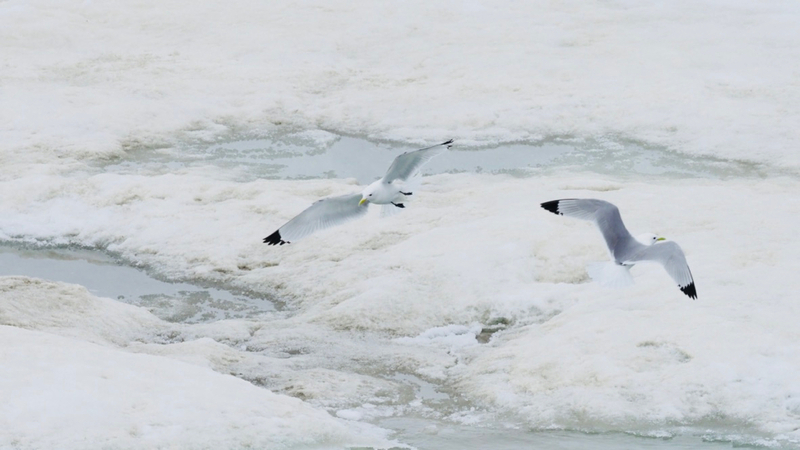 It was difficult to accurately assess the numbers but we estimated that about 15,000 birds flew by on their migration out of the Chukchi Sea. 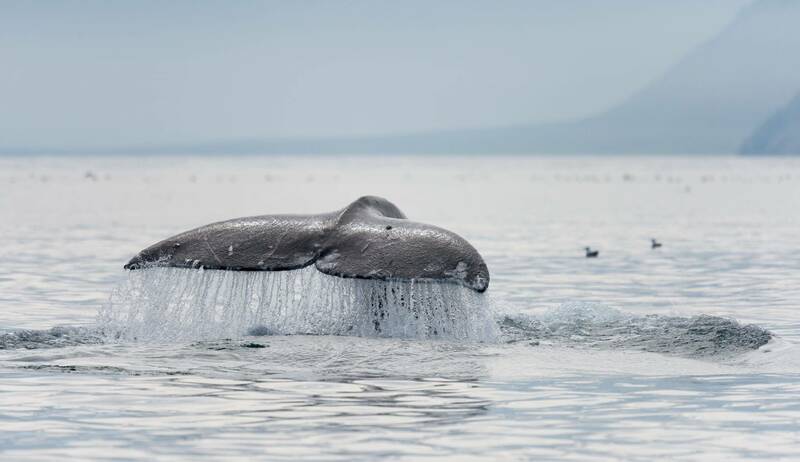 It was an amazing sight and with at least two Orcas and several Humpback Whales too, the day had started in an impressive manner. The Zodiacs were soon readied and we set off along the coastline to see what we could find. Although we were going along some impressive cliffs, there were few seabirds on these, however, there was some excitement when a male Spectacled Eider was spotted. This species is the most localised of the four eider species in the world and being only found in Chukotka and Alaska, it is a tricky species to see, so we were extremely fortunate to get some great views of this individual. Whilst it was not in its summer finery as it was moulting, this did mean we were able to get some close looks as it seemed to have temporarily lost its flight feathers. After enjoying this we continued onwards making a landing at a spot where it was possible to scramble ashore over the rocks. The tundra above was somewhat boggy but it held a wide variety of plants and many people enjoyed photographing these. Looking across the bay we could see the great expanse of sea ice and our trusty ship anchored a mile or so away from us out in the outer part of the bay. Returning to the Zodiacs, we continued onwards and entered a small lagoon behind the beach. For some, this was a somewhat shocking experience as there were literally hundreds of dead walruses both on the shore and up on the hillside and almost all of them had had their tusks removed. We later learnt that although it had seemed that the local people must have killed these animals for their ivory, this was actually not the case and that during the autumn period, this beach was one of the largest walrus haul outs in Chukotka. Many of these animals had actually been killed by stampedes when bears scared them off the beach and the local populace no longer killed walruses ashore. Leaving the rather gory spectacle behind we exited the lagoon and then explored some bird cliffs further around the bay. There were good numbers of nesting Pelagic Cormorants and Glaucous Gulls, as well as smaller numbers of Pigeon Guillemots and both Horned and Tufted Puffins. By now the time was approaching 13:00 and with lunch having been scheduled from 12:30 it was certainly time to return to the ship but we were only aboard for a relatively short time as the ship repositioned closer to the sea ice where once again the Zodiacs were launched so we could go whale-watching. Over the course of the next couple of hours the five boats collectively saw over fifty Humpback Whales and we had some absolutely incredible encounters with these amazing animals with some seeing the whales bubble-netting, whilst others were able to smell their breath when they surfaced close to the boats. Being so close to these massive but gentle creatures was a truly special experience and it was with genuine reluctance that we returned to the ship knowing that we had undoubtedly experienced one of the highlights of the expedition. Our “Expedition Day” had certainly turned out to be a highly successful day indeed!!!! The day was, however, not over as after dinner, Vincent Munier gave an excellent presentation showing us some of his amazing photos and videos from his travels in his native France as well as the high Arctic and Tibet. We made good time (14 knots) through Bering Strait overnight with a following wind and sea, leaving the unseasonably late sea-ice behind at Cape Dezhnev. Around 3am we made a short detour to drop off the Beringia rangers (‘the two Alexei’s and Aluftina the 5 year old girl in their care) and their aluminium boat. We awoke at breakfast to a northerly breeze and light fog just off the northern coast of Arakamchechen Island. We took the Zodiacs into the tiny Ratmanova inlet, the hills visible only as a band of brown between low mist and grey sea. As we approached the inner inlet a young Ringed Seal popped its head up from the reeds to watch us: It was recovering from a wound so we gave it a wide berth. We crossed the beach for a closer look at a 17 metre dead Gray Whale washed up the previous autumn. Although there were bear tracks nearby, it didn’t appear to have been scavenged except by Glaucous Gulls. 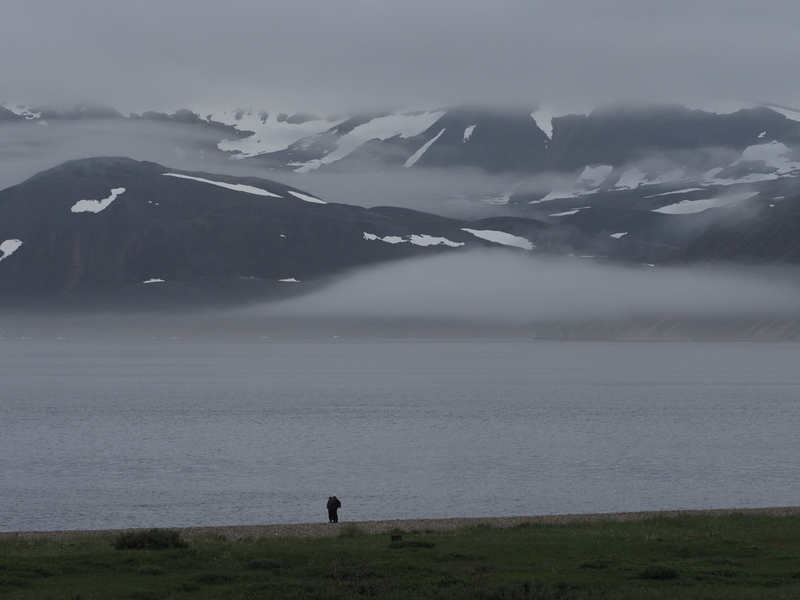 After skimming stones on the inlet we motored to the western end of the inlet to the mouth of a small river for a walk on the tundra, the mist lifting to reveal snow banks on high mountainous slopes. Very fresh bear tracks on the stream bank kept us alert. A Rough-legged Buzzard showed in silhouette on the ridge, flapping slowly down the spur as we neared. We could hear the distinctive call of Sandhill Cranes (a sound described by Brazil in ‘Birds of East Asia’ as “a loud, rolling, bugling karr-roo karr-roo”). These ventriloquists of the bird world are so much easier to hear than to see. The ground was well tunnelled by ground-squirrels, whose alarm calls sounded in sequence well in front of us. A beautiful Fritillary butterfly spread its intricately-patterned black and yellow wings flat on the tundra to warm itself. The tundra plants were flowering to perfection; frigid shooting star, river beauty, violets and primulas, miniature azaleas and rhododendrons. The Captain repositioned to the long and deeply incised Penkigngey Fjord as we ate lunch. Half way up the fjord he slowed the ship so we could watch a group of four Humpback Whales feeding; rolling and twisting in slow-motion in a tight group to reveal the bumpy tubercles on their heads, long pectoral fins and ragged tail flukes. At one stage they dived together directly under the bow of the ship and we could see them under water; a real treat for those leaning over the front deck rail at the time. We anchored off a small creek and after scouting for bears (one was seen from the ship), brought the Zodiacs ashore, being careful to avoid a pair of nesting Red-necked Stint. Two groups set off along the terrace above a willow-clad creek bed on a natural history walk for birds, pika, squirrels and tundra plants. They found a number of interesting migrants nesting, including Arctic Warbler and Grey-cheeked Thrush. A third group headed for the 400 metre high summit of Mt Gatgangey (г.гатгангэй). The tundra had a stunning diversity of plants from blueberry, cloudberry and crowberry; to mauve carpets of moss campion, pinky-white azalea and crimson rhododendron; to creeping lycopodium, sphagnum moss and bright yellow lichen. As we climbed we heard and then saw two pairs of Sandhill Cranes striding along adjacent spurs. A pair took off and flew out across the valley, slowly flapping their large and elegantly upturned wings, calling all the while. We slowly zig-zagged up the mountainside, stopping above a steep face overlooking the fjord to admire the view; a study in muted blacks, greys and whites: Mist hovered over the water’s surface; ‘cotton-wool’ clouds cloaked the surrounding peaks; black and brown mountain faces contrasted with snow patches; the surface of the fjord grey and still, disturbed only by the ripple of Humpback Whales feeding near the anchored ship. From the summit we looked deep into the surrounding glacial valleys, lush with spring growth, bisected by meandering streams and dotted with shrub-willows: A vast landscape that extended to the end of sight and beyond, into the realm of imagination. We returned to the pebbly beach and a cloud of waiting mosquitos, mercifully blown away as our Zodiacs accelerated towards the ship and dinner. It was a dreary start to the day. A biting dampness hung in the air cloaking the surrounding hills. There was no news of the delayed games and no sign of life in the village. It proved to be the perfect opportunity to explore the engine room and Costa gave a fascinating and insightful exploration around the depths of the ship. Just before noon the sun broke through and transformed the landscape, warming the air, and perfect timing too as for those who wanted to do a polar plunge now was the time! We launched a Zodiac just to be on the safe side and with the sun shining down nine worthy participants leapt into the ice-cold water from the gangway much to the enjoyment of everyone else who watched on from the decks. By now a bus had arrived in town and a small settlement of tents was being slowly erected on the shores of the fjord. Elena had worked furiously all morning and by 14:30 we were ready to head ashore and the village was ready to welcome us. First stop was the school. This bright building was bustling with life and activities and we were duly shown the various rooms which included everything from a class for cooking and cleaning to a superb display by the Beringia National Park. The school visit culminated with a brilliant dance show by the local children and the finale even drew in a few of us to demonstrate our appalling dance skills. Following the dance we were free to wander and explore around the village taking in the way of life so far removed from our own including preparing walrus and Gray Whale meat. As we left the village a few children gathered to play on the Zodiacs with Costa giving them a high-speed tour of the bay whilst a lady prepared a seaweed soup at the top of the beach. So, despite the uncertain start to the day it had turned into a superb experience and a fascinating insight into Chukchi life. As evening fell we upped anchor and started on our journey back to Anadyr. It was the last full day of our expedition and after a leisurely breakfast, many people joined Dan Brown in the lecture room at 09:30 to hear his presentation about the secret lives of whales and dolphins. Dan gave us some fascinating information about these creatures describing how species such as the Sperm Whale used eco-location to find their food and the extraordinary depths some were capable of diving to. He also told us that many species were threatened, not just from the whaling industry (which had decimated some populations but continued in countries like Iceland and the Faroes) but also from plastic in the ocean and other threats such as shipping and development. Outside, there was a gentle swell from the south which meant the ship was rolling somewhat as we headed westwards for Anadyr. There were, however, plenty of birds with the vast majority of them being Northern Fulmars. These varied considerably in colour with some being grey and white, others a deep blue-grey and small percentage almost pure white or mottled. As well as the fulmars, there were also some Short-tailed Shearwaters and Glaucous and Vega Gulls. Shortly after 11:00, Expedition Leader Aaron gave a presentation entitled “Heritage Expeditions: A little of the history so far”. Aaron described how the business had been started by his parents, Rodney and Shirley, and how they had chartered a series of different ships before eventually using a sister ship to the Spirit of Enderby for voyages to the Subantarctic Islands and onwards to the Ross Sea. Aaron then spoke about some of the other destinations the ship now visited. After our final lunch aboard, it was time to settle accounts and return boots and Zodiac lifejackets and at 17:00 everyone gathered in the lecture room for a departure briefing and expedition recap. This included a slideshow of images taken by the expedition team and we could only reflect on a unique voyage with many special wildlife and cultural highlights. 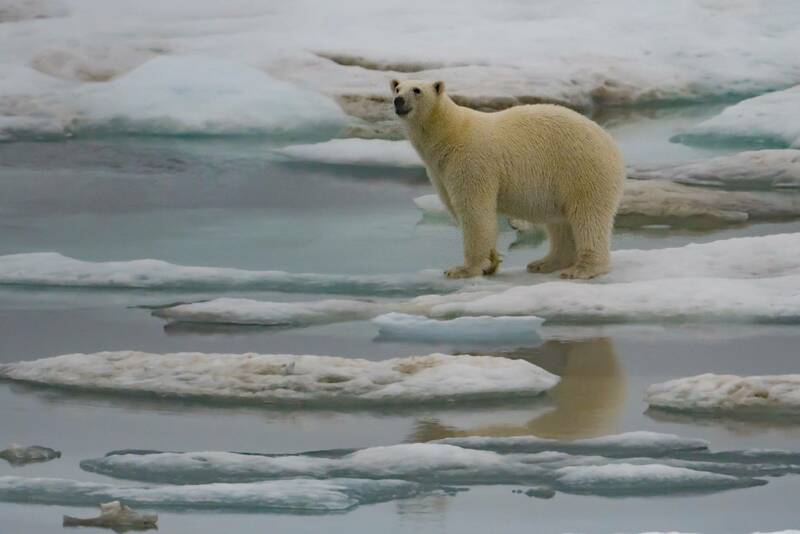 We had been fortunate to not only set foot on the fabled Wrangel Island but had experienced heavy sea ice and seen a spectacular range of wildlife including both Brown and Polar Bears as well as some extraordinary encounters with Humpback Whales. After the bar hour, it was time for the farewell dinner and Ed and Lance produced a fantastic dinner for us. Once that had concluded, many returned to their cabins to finish packing and prepare for their travels either home or onwards to other destinations. We arose to an early breakfast call to finish last minute luggage preparations and to enjoy a hearty breakfast for what would be a long travel day for most of us. It was sad to think that our voyage was at an end, but our photos and memories would always help us recall our time in Chukotka, the wildlife we had seen and the landscapes and seascapes of the Russian Far East. We had reached journey’s end. By the afternoon our team had all arrived to Anadyr, some of us from Moscow and others on a charter flight from Nome. First impressions of Anadyr were of a cold and grey frontier town beset by rain and wind, but after meeting with some of the locals, we discovered that the people were what made it a successful port town. We drove to the beach in Ugolnye Kopi town, past local fishermen and the piles of coal waiting for shipment. At the beach we were met by the barge Neva, which is the name of the main river that runs through Saint Petersburg, situated on the other side of Russia, and a polar opposite to its namesake found here. The tired and faithful Neva ferried us aboard Professor Khromov/Spirit of Enderby late in the afternoon. After settling in, we all met in the lecture room for introductions to our Expedition Leader Rodney and ship staff, and then we were invited to the top deck to see the ship depart the wharf for our expedition to the remote north. The pilot accompanied us out of the harbour, peeled away, and we began our journey to the north. Quite a few people remained on the decks for some sea watching. Later we enjoyed the delicious dinner prepared by our chefs, Edward and Matt, followed by the very first meeting of The Bird Club by Chris and Lisle. Then, unable to fight jet lag anymore, we went straight to bed, full of expectations for tomorrow. We woke up to find ourselves in the calm waters of Kresta Bay, surrounded by spectacular rusty green mountains. The ship was speedily heading up north, and the gentle rolling that we felt overnight has ceased. The weather looked promising with a gentle breeze and the sun occasionally peeping out. Later in the morning the ship came to anchor in Egvekinot Bay, and we had a number of briefings about Zodiac use, onboard safety and the upcoming landing. After all the instructions had been given we had a lifeboat drill practice and enjoyed taking selfies while inside the lifeboat. And finally, after lunch, we went out on our very first Zodiac cruise to the small Soviet town of Egvekinot that had just celebrated its 70th birthday last year. We split into two groups, one went straight to the museum and another was taken by a big shaky Ural truck to the Arctic Circle just north of the town, marked by a big metal arch. Afterwards the groups swapped. One of the groups was lucky to see lots of ground squirrels, many birds and spectacular ruins of the Soviet Empire. At the museum we had a very interesting excursion on the sad history of Egvekinot and saw beautiful traditional ivory and bone carvings made by Chukchi people. After strolling through the town with its shaggy buildings and shiny white church, the groups met at the beach and were ferried back onto the ship by the Zodiacs. Early in the morning the ship sailed off south along Kresta Bay, and by breakfast time we were already anchored near the Konegino village. The morning was calm but a bit rainy, and just before the breakfast those of us who didn’t sleep in saw a group of walruses that passed the ship by. After a briefing on the upcoming landing, we went out on a Zodiac cruise to Konegino – a small Chukchi village of reindeer herders. The villagers met us on a beach in traditional Chukchi clothes made of reindeer pelts and fur, and we were all invited to step over a fire and to have a bite of reindeer meat as part of welcoming ritual. We were taken to a local club, where we had a presentation on the history of Konegrino and an amazing concert with traditional Chukchi singing and dancing. We were treated to traditional food of reindeer herders, unique and delicious, and strong black tea, the favourite Chukchi drink. Lots of delicacies were eaten, and many photos were taken. After these ceremonies a local vezdekhod driver Vasiliy made a tour for us on his uncommonly huge and unbelievably strong vehicle. It was definitely a unique experience. Sadly, soon it was time to go. We reluctantly proceeded back to Zodiacs, taking a small group of villagers with us. Once we all were back onboard our ship sailed off towards out next destination, Presbrazhenya Bay. We woke up to a calm morning in Presbrazhenya Bay area, surrounded by cliffs wrapped in a veil of fog. After the briefing on our day activities, we set out on a Zodiac cruise to the bird cliffs on Cape Kikilin. The winds earlier on had created the slight swell, so our excursion was a bit bumpy but nonetheless fascinating. The spectacular cliffs were covered with countless numbers of birds, and the air was busy with heavy traffic of birds moving back and forth. We followed the shore slowly, watching the private life of Brunnich’s and Common Guillemots, Tufted and Horned Puffins, Pelagic Cormorants, Black-legged Kittiwakes, and other seabirds. On the way back we made a landing at the head of the bay, where the waters were calm enough. 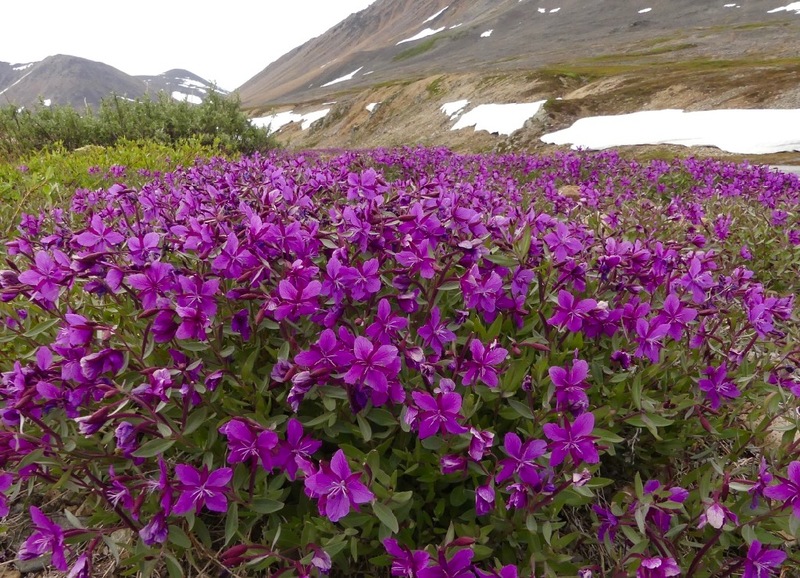 Here we enjoyed the walk across the beautiful open tundra with its fresh fragrant air and beautiful flowers. Some of us saw Snow Buntings and Arctic Ground Squirrels, while others found whale and walrus bones. Back aboard, we had a lecture on cetaceans by Grisha where he told us a little about his recent research and showed the mammal species that we hope to see over the next few days. The ship sailed off soon after midnight, and in the early hours of the morning we were already anchored just off the green and sunny Yttygran Island. After a briefing, the Zodiacs started to ferry us ashore. We landed at ‘Whale Bone Alley’, a world renowned archaeological site with whale jaws and skulls organized into an alley along the shore with scree structures used as meat pits. We explored the saddle covered in sappy green grasses, watched birds, pikas and ground squirrels. Later on we met again at the beach and, as the weather played in our favour, we set out on a whale watching cruise. What a wonderful experience we had! Our destination was a shallow strait that is known to be very good for Gray Whales as well as to Chukchi people who hunt them. After some searching and waiting we saw several whales quite close and some more in the distance. We got a great view of whales’ blows, backs and tails. Having watched the whales for a while we continued towards a small island where there were a couple of hundred walrus on the beach. Others were in the water and we had an amazing experience of these High Arctic animals. Happy with whale and walrus sightings, we returned to the ship for lunch as the ship cruised to Gil’mimyl Hot Springs in the Senyavina Strait. There everyone got to find things for their interest: some joined Tania to visit the local Chukchi family, some went birdwatching into the tundra with Chris and Lisle, while others went directly to the hot springs. One of the ground squirrels we met was especially cuddly and obviously enjoyed posing for us. Finally, relaxed and a bit sleepy we went to back on board. During the night we sailed to Lorino village to visit the Marine Mammals Hunters Festival that takes place every year at one of the Eskimo villages. In the morning we found ourselves anchored just off the village. The weather was surprisingly serene and warm, and after the late breakfast a scout Zodiac with Rodney and Tania went ashore to make inquires about the festival program and permissions. When the arrangements were made, we joined them ashore at the festival. We stayed at the village for almost the entire day, with just a short visit back on board for lunch. We had many different experiences and many stories to tell, as well as photos to show to each other afterwards. We enjoyed an amazing concert with people from all over Chukotka performing traditional singing and dancing, including a splendid professional band called Ergyron. At the stalls many of us bought unique souvenirs hand-made by local people, including amazingly beautiful ivory and bone carvings. 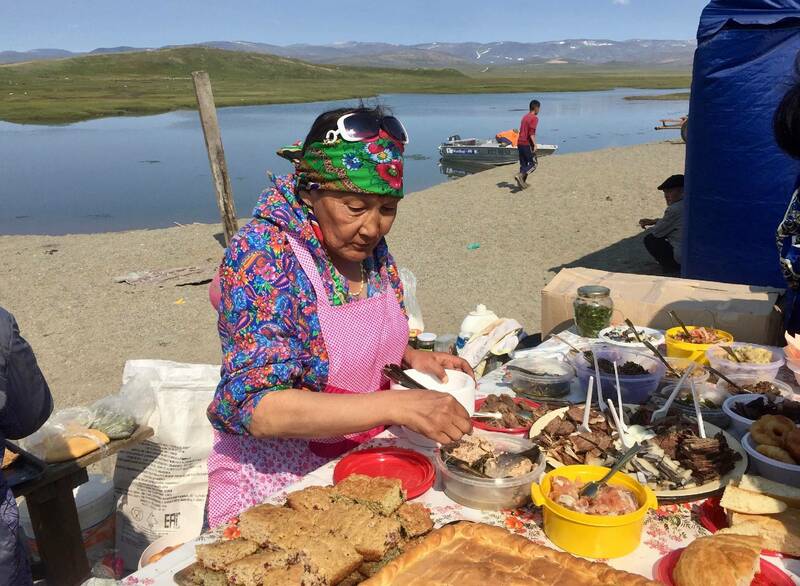 Locals offered their delicacies to everybody on the festival: whale and walrus meat, sea cucumbers, and mantak – thin slices of whale skin with blubber. It’s interesting to understand that Eskimo and Chukchi people eat that kind of food in their everyday life and, what is more, it is their main food allowance. Just before dinner we, happy and satisfied with all done, seen and eaten, returned back on board for the rest of the day. The ship sailed overnight from Lorino straight to Cape Dezhnev. The early morning was beautiful though foggy. At the briefing Rodney told us about the sad history of Naukan village, and old Eskimo settlement that existed for thousands of years before being forcedly relocated by Soviet authorities in 1958. Zodiacs departed for Cape Dezhnev at 4:30 am, and as we followed the coastline we admired the mighty cliffs covered with thick fog. The upcoming landing was one of the most difficult landings of this trip, but fortunately the weather allowed us to land just a bit south of Cape Dezhnev, at the Naukan village. We went up the creek and slowly wandered through the village. Walking among the old abandoned yarangas, we were trying to imagine the life people used to have here. The light wind carried a bitter-sweet scent of absinth, the fog was gradually becoming denser, and the ruins of yarangas were teeming with ground squirrels. We walked up the slope to the lighthouse and spent some time there, enjoying the absolute silence, the warmth and the beauty of this very special site. Later we all went back aboard and the ship began sailing north, towards Wrangel Island. After lunch Helen opened the Sea Shop, there were souvenirs including books, magnets, toys and clothing. Two hours later we were invited to a very interesting lecture about Wrangel Island by Rodney and got useful information on the history, flora and fauna of this magnificent land. He named some books about expeditions to this part of the world so now we can find out some more facts of the history of Wrangel Island. The rest of the afternoon was spent at sea sailing north, and we saw a good number of Gray Whales plus several flocks of migrating Red Phalaropes. We made good progress overnight and in the morning we saw ice for the first time. The fog tried to hide all the beauty of the landscape but the sea was calm and glassy. We sailed north until we met a big ice sheet, and then the ship began moving around it, navigating through ice using the ice maps. Just after lunch we saw our first Polar Bear: a young bear was walking by the edge of a big ice sheet, stopping to sniff the air from time to time. After a while we saw two more Polar Bears: an adult bear walking on ice and diving into the water soon after we spotted them. We also met Bearded Seals and Phalaropes for the first time, and skuas became much more abundant than before. After breakfast Andrew gave a lecture about sea ice. By dinner time the ship entered the waters almost free of ice and gained speed, moving further towards the Wrangel Island. This morning it was sunny and glorious. We were surrounded by spectacular ice pieces reflecting in glassy water, and the misty mountains of Wrangel Island could be seen on the horizon. Many of us went out on the decks to enjoy the view before breakfast. After breakfast, while the ship was navigating her way through the ice sheets to Wrangel, we went out for ice watching again and had plenty of amazing sightings. Today we explored Bruchaya lagoon and Checherina spit. What an amazing land full of mystery, sun and spectacular scenery. Around midday we finally arrived at Wrangel Island and, after a hurried lunch, set out on a long-awaited Zodiac cruise to the shore. On our way there we saw a group of walruses lying on a big ice sheet. After coming back on board we went straight to bed, looking forward to another landing on Wrangel Island tomorrow. Our first landing of the day took place in a picturesque lagoon where the monument to the crew of the ship Karluck, which was crushed by ice near Herald Island in 1914, stands. After a brief landing to look at the epitaph and a brief description of some of the endemic species of plants by Moshe, we piled back into the Zodiacs for a cruise along the cliff faces adjacent to the beach. The stunning cliffs provided ample opportunities for bird watching, while they dived and swooped from the cliffs. A sighting of an Arctic Fox rounded out the wildlife portion of the cruise, however the towering cliffs with the mist rotoring off the tops made for a stunning vista. As the fog rolled in we made our way back to the ship for lunch. After lunch we returned to the beach where the monument is situated for our second landing. Following a brief photo taking session, we split into three groups: some went with Lisle, Floris and Uliana on a longer walk across the tundra to the ranger’ base, others joined Chris on a shorter walk, while some preferred to stay on the beach. The views were breath-taking, with gorgeous tundra covered in a soft carpet of flowers, lichens and mosses. A flock of moulting Snow Geese with goslings was seen. 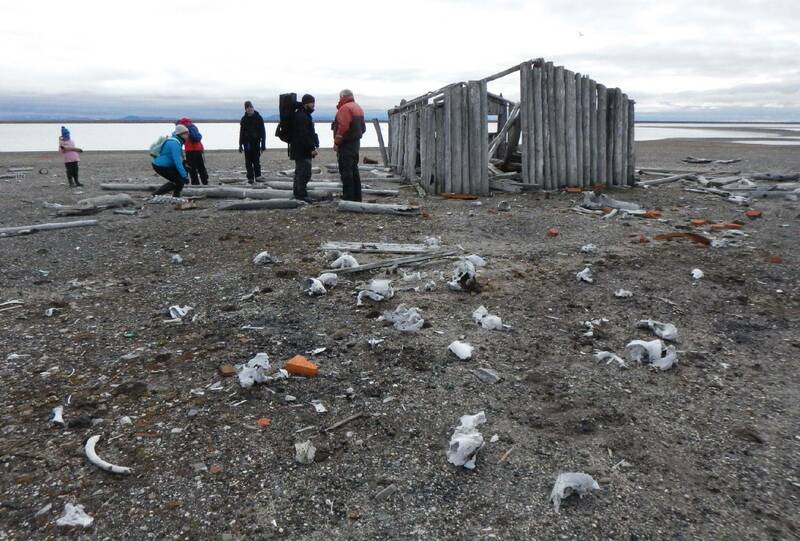 All three groups met at the ranger’s hut where we were shown some walrus and bear skulls, as well as the inside of the buildings, which was interesting to gain an insight into the life of a ranger on Wrangel Island. The group moved down to where the river flowed into the lagoon to rejoin the Zodiacs and head back to the ship. We lifted anchor and began sailing for Kolyuchin Island. Today we spent the entire day at sea, sailing further south towards Kolyuchin Island. There was still floating ice in the water, and the weather was quiet with glorious sun. After a late breakfast we attended Moche’s lecture about the fascinating tundra of Wrangle Island. Later on we watched the documentary “Life on the Field of Bones”, where Nikita – a specialist in Polar Bears – shares his experience of living and doing research on the remote Wrangel Island. Many of us could be found on the decks or on the bridge today sea watching. Just before dinner we spotted dozens of whales in the distance, and some of them were identified as bowhead whales – an incredibly rare sight for this region. So Rodney decided to change course a little to have a better look at the whales. 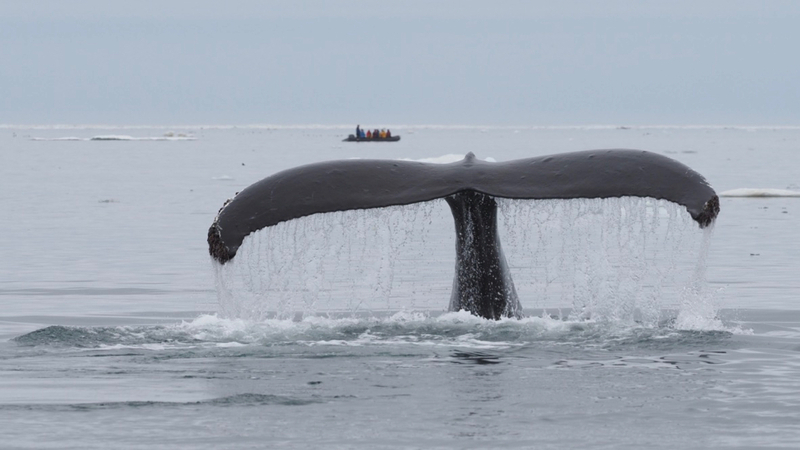 As we came closer, we saw dozens of Humpback and Bowhead Whales, blowing, breaching, and flapping their flukes. The whales surrounded us from every side, and it was just a fantastic show! After dinner the show continued and till late evening we all were outside admiring the view! We arrived at Kolyuchin Island the previous evening, where we anchored overnight. After an early breakfast two scout Zodiacs were sent to the island to check for the Polar Bears and walrus haul-outs on the southeastern shore of the island. The way was clear, and soon we landed at the island and climbed up the hill to the abandoned Soviet polar weather station. We strolled among the ramshackle houses, old rusty equipment and personal items of people who used to live here. But the highlight of the island was bird cliffs just below our feet. We watched hundreds of Horned and Tufted Puffins, kittiwakes and cormorants, Common and Brunnich's Guillemots minding their own business, quarrelling, feeding their chicks, and sitting on eggs. It was a great sight to see and just a perfect spot for photographers and all wildlife-lovers. Full of excitement, we came back inside for lunch. Later on, after the briefing on our afternoon landing, we set out on a Zodiac cruise to Belyaka Spit in the Kolyuchin Inlet. It was the last landing of this expedition, and the longest one. Until the early hours of the evening we were wandering across this enormous spit with its wetlands and small lakes. Everyone found something special for them. For some it was the long sandy beaches and vast expanses of flat open tundra. For others it were the grassy mounds that once used to be the marine hunters’ dwellings, the old burial sites with human bones, or the lighthouse with a small hut nearby. And of course it was a paradise for birdwatchers. According to the local ornithologist Alexey, the breeding season was especially early and successful this year. We saw lots of birds, including many different waders, Emperor Geese, Long-tailed Ducks, Northern Pintails. We spent a few wonderful hours on the spit. By 6 p.m. we were all onboard and had an amazing, gorgeous dinner made by Matt and Ed. Today we had a relaxing day at sea, heading back south towards Anadyr. The swell has abated by the early morning, and the sea was calm when we woke up after a sleep in. Right before breakfast we passed by Ratmanova Island, or Big Diomede, the easternmost Russian land. Then we listened to a great lecture by Grisha on the communication systems of cetaceans. Later on Andrew, our specialist in geology, invited us to his lecture “Glaciers: Movers and Shapers”, which was incredibly interesting. After lunch we had again a couple of lectures. One of them was Lisle’s talk on photography, where he shared tips and tricks to get the most from your images. Afterwards we had a presentation by Rodney about two unique and challenging snow-mobile expeditions across Chukotka that he did with Katya and two of their friends in Chukotka. Another lazy day at sea as we make our way to Anadyr across the Anadyr Bay. 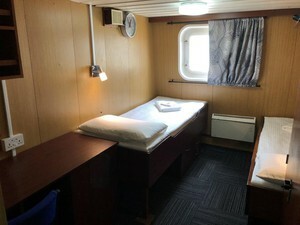 It was not an easy day in terms of big waves and we spent most of the day in our cabins trying to cope with the seasick. In the late afternoon we spent some time with Helen for the settlement of our onboard accounts. When it was over, we had a briefing on tomorrow's disembarkation and getting to the airport. It was followed by an Expedition Recap, when we reflected on our experiences throughout our fantastic journey. We shared our impressions and stories and thanked each other for the great time we had together. Lisle presented a great slideshow of expedition photos, and we once again recalled the great moments of this unique journey. Later on we all met in the bar for our very last drinks onboard the ship. It was a very special evening with a touch of sadness. The day culminated with a delicious farewell dinner, a great way to celebrate our amazing journey. The day started early, and after the breakfast we were all lined up and prepared, ready to be picked up by the barges. Soon we all made it back to the solid ground and civilized world. It was very sad to leave the ship and the beautiful land of Chukotka and Wrangel Island behind. This was an incredible adventure and one of those experiences never to be forgotten. By the afternoon we all arrived to Anadyr, some of us from Moscow and others from Nome. We drove to the beach in Ugolnye Kopi town, past local fishermen and the piles of coal waiting for the shipment. At the beach we were met by the barge that ferried us aboard Professor Khromov/Spirit of Enderby. After settling in, we all met in the lecture room for introductions to our expedition leader Rodney and ship staff, and then were invited to the top desk to see the ship departing. The pilot accompanied us out of the harbour, peeled away, and we began our journey to the north. Quite a few people remained on the decks for some sea watching. Sightings included many bird species, largha and ringed seals, dozens of beluga whales flashing their shiny white backs and a school of salmon leaping out of the water. We enjoyed the delicious dinner prepared by our chefs, Connor and Robin, followed by the very first meeting of Sarah’s Bird Club. Then, unable to fight jet lag anymore, we went straight to bed, full of expectations for tomorrow. We woke up to find ourselves in calm waters of Kresta Bay, surrounded by spectacular rusty green mountains. The ship was speedily heading up north, and the gentle rolling that we felt overnight has ceased. The weather looked promising with gentle breeze and the sun occasionally peeping out. Later in the morning the ship came to anchor in Egvekenot Bay, and we had a number of briefings about Zodiac use, onboard safety and upcoming landing. After learning how to tell apart starboard and port board using the phrase “There is no port left in a bottle”, we had a lifeboat drill practice and enjoyed taking selfies while inside the lifeboat. And finally, after lunch, we went out on our very first Zodiac cruise to the small Soviet town of Egvekenot that just celebrated its 70th birthday a few days ago. 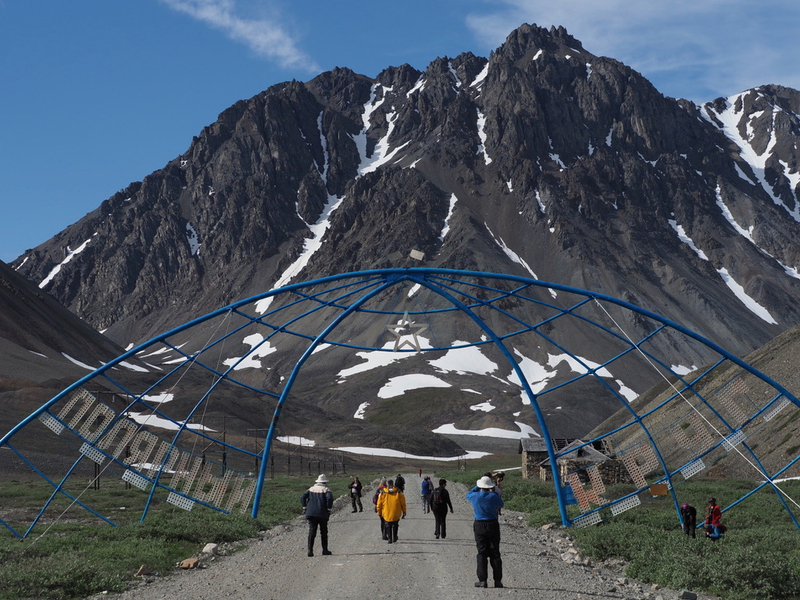 We split into two groups, one went straight to the museum and another was taken by a big shaky Ural truck to the Arctic Circle just north of the town, marked by a big metal arch. Afterwards the groups swapped. One of the groups was lucky to see a bear cub on a way up north, and both of the groups saw lots of ground squirrels, many birds and spectacular ruins of Soviet Empire. At the museum we had a very interesting excursion on the sad history of Egvekenot and saw beautiful traditional ivory and bone carvings made by Chukchi people. After strolling through the town with its shaggy buildings and shiny white church, the groups met at the beach and were ferried back onto the ship by Zodiaks. After dinner, the weather got worse and it started to rain. Neither birds nor birdwatchers enjoyed these conditions, so most of us called it a day and spent the rest of the evening inside. Early in the morning the ship sailed off south along Kresta Bay, and by breakfast time we were already anchored near the Konegrino village. The morning was calm but a bit rainy, and just before the breakfast those of us who didn’t sleep in saw a group of walruses that passed the ship by. After a briefing on the upcoming landing, we went out on Zodiac cruise to Konegrino – a small Chukchi village of reindeer herders. Our excursion to Konegrino was unique, as it was the first visit by an expedition for this village. Rodney and Katya visited Konegrino earlier during their snowmobile trip across Chukotka, but no large group of tourists had ever landed here. The villagers met us on a beach in traditional Chukchi clothes made of reindeer pelts and fur, and we were all invited to step over a fire and to have a bite of reindeer meat as part of welcoming ritual. We were taken to a local club, where we had a presentation on history of Konegrino and an amazing concert with traditional Chukchi singing and dancing. After the concert we went outside, where we were met by the mistress of yaranga, who invited us inside to show the interior of this traditional Chukchi dwelling. We were treated to traditional food of reindeer herders, unique and delicious, and strong black tea, the favourite Chukchi drink. Lots of delicacies were eaten, and many photos were taken. Sadly, soon it was time to go. We reluctantly proceeded back to Zodiacs, taking a small group of villagers with us. Back on board we had lunch with our guests and, after Zodiacs took them back ashore, our ship sailed off towards out next destination, Preobrazhenya Bay. After lunch we had two great lectures, on history of Chukotka by Katya and on alcid birds by Sarah. But the true culmination of the day was yet to come. Soon a group of humpback whales was spotted in a distance, and we all rushed out on the decks. As the ship approached the whales, the view became more and more fascinating: over sixty humpbacks were blowing and rolling and flapping their flukes just in front of us, with hundreds of sea birds swarming around them. Just when we thought that the view couldn’t be more fascinating, a group of orcas was spotted off the starboard in a distance. The ship changed course to approach them. As we got closer, we saw them hunting in lines, popping out and jumping such a beautiful and graceful manner, showing their backs and their flukes. One of the orcas got very close to the ship, and as we watched it from the lower deck we could see its whole body in details through the water. We enjoyed this fantastic show for an hour at least, having completely forgotten about the chilly wind and the sea sickness, and it was just pure happiness. This breath-taking performance was a true highlight of the day and, overwhelmed with excitement, we went back inside to dinner and bed. We woke up to a calm morning in Preobrazheniya Bay area, surrounded by cliffs wrapped in a veil of fog. After the briefing on day activities, we set out on a Zodiac cruise to the bird cliffs on cape Kikilin. The winds earlier on had created the slight swell, so our excursion was a bit bumpy but nonetheless fascinating. The spectacular cliffs were covered with countless numbers of birds, and the air was busy with heavy traffic of birds moving back and forth. We followed the shore slowly, watching the private life of guillemots, puffins, auklets, cormorants, kittiwakes, and other sea birds. 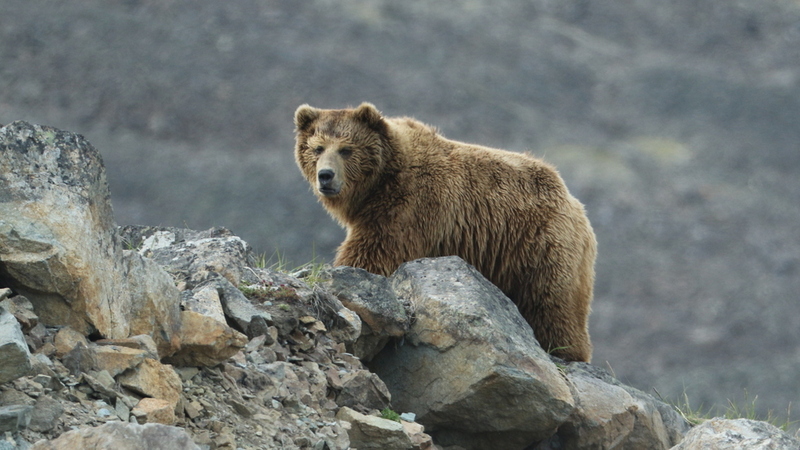 In addition to birds, we spotted a brown bear that hastily clambered up the cliff before disappearing into the fog. On the way back we made a landing at the head of the bay, where the waters were calm enough. Here we enjoyed the walk across the beautiful open tundra with its fresh fragrant air and tasty berries. Some of us saw buntings and ground squirrels, while others found whale and walrus bones. Back aboard, we had another great lecture by Katya on indigenous peoples of Chukotka and then spent some time shopping for souvenirs at the Sea Shop organized in the dining room. Later in the afternoon we had an impressive view of infinite numbers of crested and least auklets flying in flocks just above the water on a way back to their colonies on cliffs. A lecture on cetaceans by Michael completed the day. The ship sailed off soon after midnight, and in the early hours of the morning we were already anchored just off the green and foggy Yttygran Island. After a briefing the Zodiacs started to ferry us ashore. Due to a short administrative interruption the cruise was a bit delayed, but all was settled in the end. We landed at the Whale Bone Alley, the world renowned archaeological site with whale jaws and skulls organized into a sort of an alley along the shore and scree structures used as meat pits. We explored the saddle covered in sappy green grasses, watched birds and ground squirrels and set in ambush for pikas. Later on we met again at the beach and, as the weather played in our favour, we set out on a whale watching cruise. Our destination was a shallow strait that is known to be very attractive to grey whales as well as to Chukchi people who hunt them. After some searching and waiting we saw two whales quite close and some more in a distance. We got a great view of whales’ blows, backs and flukes. One of the whales started breaching as we got closer, the sign of it being nervous. So, to give it some space, we retreated. 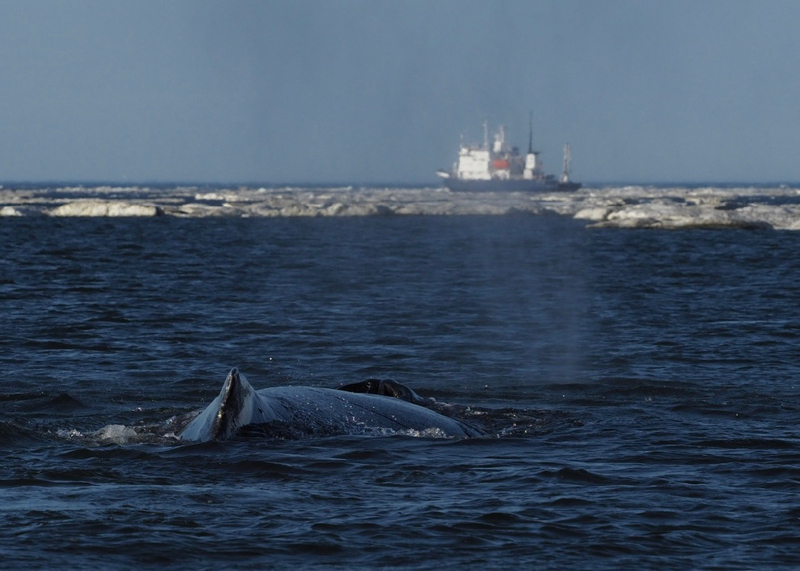 Happy with whale sightings, we returned to the ship for lunch and then set out for another cruise to Gilmimyl hot springs in the Senyavina strait. There everyone got to find things for their interest: some joined Katya to visit the local Chukchi family, some went birdwatching into the tundra, while others went directly to the hot springs. Sandhill cranes with chicks were seen walking in a distance, waders and snow buntings were spotted, and in the tundra the permafrost site was found. One of the ground squirrels we met was especially cuddly and obviously enjoyed posing for us. Finally, relaxed and a bit sleepy after soaking in the hot pool, we went to back on board. During the night we sailed back south to Tkachen Bay to visit the Marine Mammals Hunters Festival that takes place every year at the Eskimo village of Novochaplino. In the morning we found ourselves anchored just off the village. The weather was surprisingly serene and warm, and after the late breakfast a scout Zodiac with Rodney and Katya went ashore to make inquires about the festival program and permissions. When the arrangements were made, we joined them ashore at the festival. We stayed at the village for almost the entire day, with just a short visit back on board for lunch. We had many different experiences and many stories to tell, as well as photos to show to each other afterwards. 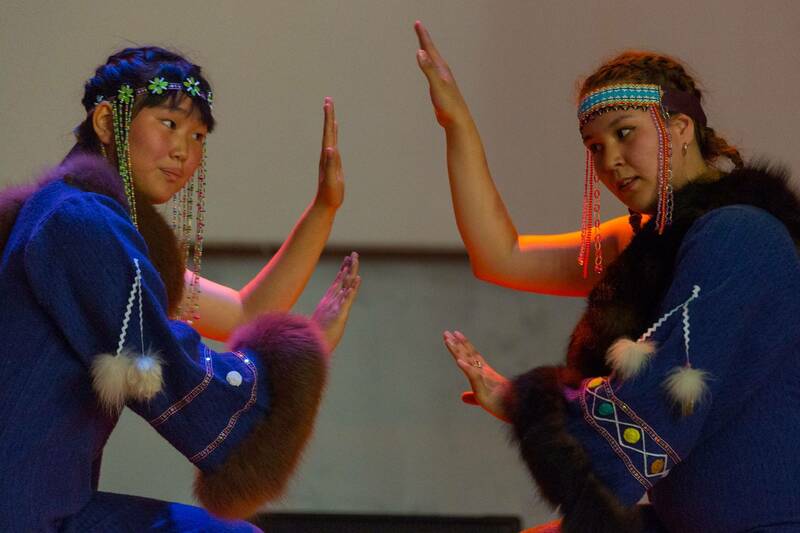 We enjoyed an amazing concert with people from all over Chukotka and even from Alaska across the strait performing traditional singing and dancing, including a splendid professional band called Ergyron. At the stalls many of us bought unique souvenirs hand-made by local people, including amazingly beautiful ivory and bone carvings. We tried local delicacies: whale and walrus meat, sea cucumbers, and mantak – thin slices of whale skin with blubber. We took a walk across the village and, just before dinner, we returned back on board for the rest of the day. The ship sailed overnight from Novochaplino straight to Cape Dezhnev. The morning was beautiful, with the sun shining and a rainbow hanging just over misty Cape Dezhnev. At the briefing Katya told us about the sad history of Naukan village, and old Eskimo settlement that existed for thousands of years before being forcedly relocated by Soviet authorities in 1958. Zodiacs departed for Cape Dezhnev, and as we followed the coastline we admired the mighty cliffs covered with thousands of birds. The upcoming landing was one of the most difficult landings of this trip, but fortunately the weather allowed us to land just a bit south of Cape Dezhnev, at the Naukan village. There we were met by a brown bear clambering up the slope in a distance. We went up the creek and slowly wandered through the village. Walking among the old abandoned yarangas, we were trying to imagine the life people used to have here. The wind was strong and carried a bitter-sweet scent of absinth, the sun was shining, and the ruins of yarangas were teeming with ground squirrels. We walked up the slope to the lighthouse and spent some time there, enjoying the wind, the sun and the beauty of this very special site. Later we all went back aboard and the ship began sailing north, towards the Wrangel Island. After lunch we had two very interesting lectures, one about polar bears by Katya and another about Karluk expedition by Sam. The rest of the evening was spent at sea sailing north, and we met a couple of grey whales and humpbacks on our way. We made good progress overnight and in the morning we saw ice for the first time. The sun was shining, and the sea was calm and glassy. We sailed north until we met a big ice sheet, and then the ship began moving around it, navigating through ice using the ice maps. Just after breakfast we saw our first polar bear: a young bear was walking by the edge of a big ice sheet, stopping to sniff the air from time to time. After a while we saw more polar bears: a mother with two cubs walking on ice and diving into the water soon after we spotted them. We also met bearded seals and phalaropes for the first time, and skuas became much more abundant than before. Other sightings included walruses, ringed seals and a couple of whales in a distance. After lunch Sam gave a lecture about sea ice, and later we listened to Katya’s presentation on the Wrangel Island’s history and wildlife. By dinner time the ship entered the waters almost free of ice and gained speed, moving further towards the Wrangel Island. The morning was sunny and glorious. We were surrounded by spectacular ice pieces reflecting in glassy water, and misty mountains of Wrangel Island could be already seen on the horizon. Many of us went out on the decks to enjoy the view before breakfast. After breakfast, while the ship was navigating her way through the ice sheets to Wrangel, we went out for ice watching again and had plenty of amazing sightings. For a start, we had a perfect interaction with a mother polar bear and a cub. 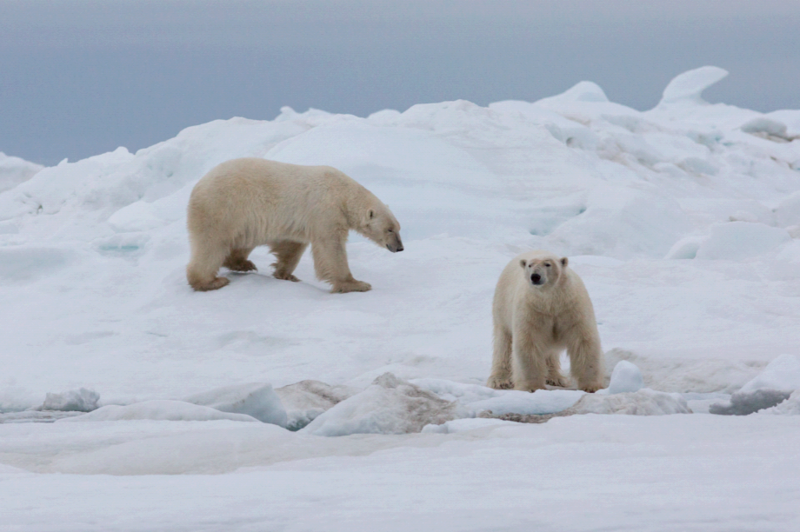 As we slowly approached them, they didn’t seem to get worried and were rather curious about us: they were watching us closely and even moved to the edge of the ice sheet, probably to have a better look. While we were watching each other another polar bear was spotted not far from a ship: a big male, swimming and casting curious sidelong looks at us. After coming alongside the ship, he stopped and continued observing us, peeping out from behind a piece of ice. Later on, we saw more polar bears, as well as walruses, bearded and ringed seals and various birds. Around midday we finally arrived to Wrangel Island and, after a hurried lunch, set out on a long-awaited Zodiac cruise to the shore. On our way there we saw a group of walruses lying on a big ice sheet. Quietly, so as not to disturb them, we approached. After watching the walruses and taking photos, we went on and landed at the abandoned village in Doubtful Bay. There we were met by a group of rangers. We split into three groups accompanied by rangers and our guides. One group left for a long walk across the tundra, another set off for a medium distance walk, while those who didn’t fancy a walk at all stayed at the village to explore the surroundings. Everyone found something to their interests: male snowy owls with their snowy white plumage flashing from far away, peculiar dwarf tundra plants, old airport, grey plovers making their beautiful haunting calls, musk ox skull, mammoth tusk, and many other exciting things. But the best of all was the tundra itself, with its vast of colours, light, crisp wind, and sense of freedom. After coming back on the ship for dinner those of us who were interested set out on another Zodiac cruise to enjoy the evening walk across the beautiful twilight tundra. The Bird Club was cancelled for tonight, so after coming back on board we went straight to bed, looking forward to another landing on Wrangel Island tomorrow. After breakfast we all went out on a Zodiac cruise to Wrangel. Strong chilly wind was blowing from the island and, as we landed at Devil’s Creek, across the tundra. But the sun was shining, and the tundra was just as glorious as yesterday. We strolled along the beach to 180° meridian, where eastern and western hemispheres meet. After taking photos, we split into three groups: some went with Rodney on a longer walk across tundra to Skurikhinsky Pass, others joined Katya on a shorter walk, while some preferred to get back on board. The views were breath-taking, with gorgeous tundra covered in a soft carpet of flowers, lichens and mosses, bright blue sea with shining ice, and gentle outlines of multi-coloured mountains. A flock of moulting snow geese with goslings was seen at Mammoth River, musk oxen were spotted in the distance, and male snowy owls, long-tailed skuas, and numerous grey plovers were seen again. We shortly came back on board for lunch and then went back ashore again, to Doubtful spit. There we saw a grave of Pavlov – a trapper who died on Wrangel under mysterious circumstances – with animal bones scattered all around. In a lagoon we watched many various waders, took photos of fearless red phalarope, and saw Sabine’s gull for the first time. Eventually we were chased away by a pair of Arctic terns, who were swooping on us, anxious about the safety of their fluffy chick. After strolling along the spit we returned to Zodiacs. On our way back to the ship we had some ice cruising across incredibly beautiful fairy-tale sea. When everyone was back on board, the ship began sailing south towards Kolyuchin Island. However, it wasn’t the end of the day yet. Just before dinner a polar bear was spotted on ice; as we rushed outside, a second bear appeared on the same ice sheet; then another one and another! One young bear was sleeping deeply, completely oblivious to our ship coming closer. It woke up eventually and began carelessly stretching and rolling, paying very little attention to our presence. Two males met on ice and demonstrated their greeting ritual consisting of sniffing at each other’s snouts with open mouths. We could see the bears in great details, and the view of these amazing animals against a background of beautiful ice and silvery pink sky was absolutely gorgeous. We took our time to observe these fascinating animals, and after dinner, overwhelmed with emotions and tired, went straight to bed. Today we spent the entire day at sea, sailing further south towards Kolyuchin Island. There was still floating ice in the water, and the weather was quiet with a light haze. After a late breakfast we had a Bird Club meeting to make up for the last two days. Later on we listened to Michael’s lecture on Arctic food web, and after lunch Sarah shared with us her experience of living and doing research in a remote Arctic field camp. Then we had a lecture by Katya on the interactions between Arctic foxes and snowy owls on Wrangel Island – the subject of research of Irina Menyushina, Katya’s mother. On and off we went out on the decks or on the bridge for some sea watching. Sightings included skuas, some seals and couple of whales. All in all it was a very relaxed and lazy day, and the dinner and yet another meeting of Bird Club filled the rest of the evening. In the early hours of the morning we were already anchored at Kolyuchin Island. Just after the early breakfast a scout Zodiac was sent to the island to check for the polar bears and walrus haul-outs on the southeastern shore of the island. The way was clear, and soon we landed at the island and climbed up the hill to the abandoned Soviet polar weather station. We strolled among the ramshackle houses, old rusty equipment and personal items of people used to live here. But the highlight of the island was bird cliffs just below our feet. We watched hundreds of horned and tufted puffins, kittiwakes and cormorants, common and Brunnich's guillemots minding their own business, quarrelling, feeding their chicks, and sitting on eggs. It was a great sight to see and just a perfect spot for photographers and all wildlife-lovers. And even more: while on the island, we spotted dozens of whales in the distance, and some of them were identified as bowhead whales – an incredibly rare sight for this region. So, after everyone had come back on board, Rodney decided to change course to have a better look at the whales. 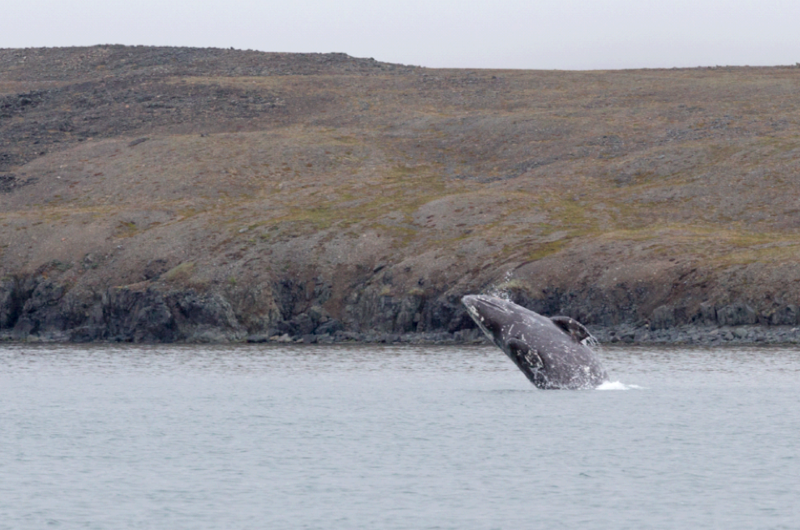 As we came closer, we saw dozens of humpback and bowhead whales, blowing, breaching, and flapping their flukes. The whales surrounded us from every side, and it was just a fantastic show! Full of excitement, we came back inside for lunch. Later on, after the briefing on the afternoon landing, we set out on a Zodiac cruise to Belyaka Spit in the Kolyuchin Inlet. It was the last landing of this expedition, and the longest one. Until the early hours of the evening we were wandering across this enormous spit with its wetlands and small lakes. Everyone found something special for them. For some it were the long sandy beaches and vast expanses of flat open tundra. For others it were the grassy mounds that once used to be the marine hunters’ dwellings, the old burial sites with human bones, or the lighthouse with a small hut nearby. And of course it was a paradise for birdwatchers. According to the local ornithologist Alexey, the breeding season was especially early and successful this year. 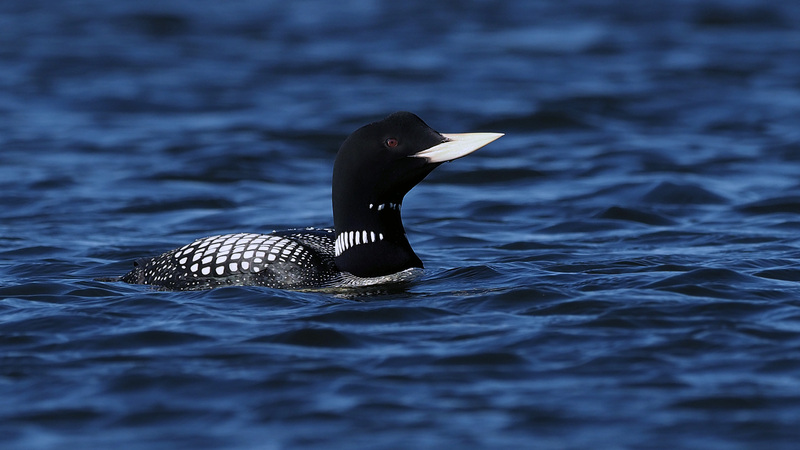 We saw lots of birds, including many different waders, emperor geese, long-tailed ducks, northern pintails, and four species of loons, including the gorgeous yellow-billed loon. We spent a few wonderful hours on the spit, and only the suddenly deteriorated weather forced us to get back to the ship. Because of the long landing, the dinner was a bit delayed, and the Bird Club was reserved for tomorrow. Today we had a relaxing day at sea, heading back south towards Anadyr. The swell has abated by the early morning, and the sea was calm when we woke up after a sleep in. 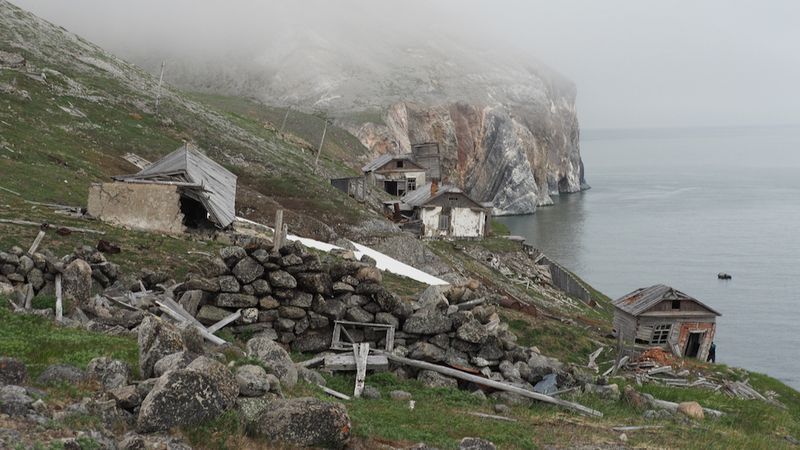 Right after breakfast we passed by the Ratmanova Island, or the Big Diomede, the easternmost Russian land. The sky was clear enough to have a great view not only of both Diomede Islands, but also of Cape Prince of Whales on the US side of the strait. Later on we had a meeting of Bird Club to record the species that were seen yesterday. Then we listened to a great lecture by Samuel on the history of North Pacific and the legacy of the explorer Georg Steller in Russian Far East. After lunch we watched the documentary recorded by Katya’s father Nikita Ovsyanikov and featuring his research on polar bears at Wrangel Island. Afterwards we had a presentation by Rodney about two unique and challenging snow-mobile expeditions across Chukotka that he did with Katya and two of their friends in Chukotka. Another lazy day at sea as we make our way to Anadyr across the Anadyr Bay. In the morning the sun was shining beautifully, and there were still quite a few birds at sea. After breakfast we had the penultimate meeting of Bird Club. Later on Rodney and Meghan gave us a behind the scene look at the logistics of the expeditions aboard Professor Khromov/Spirit of Enderby. We got to know about the great work of planning the itineraries, maintaining the ship, getting the frontier permits, and stocking food supplies, and it was very interesting. After lunch we spent some time with Meghan for the settlement of our onboard accounts. When it was over, we had a briefing on tomorrow's disembarkation and getting to the airport. It was followed by an Expedition Recap, when we reflected on our experiences throughout our fantastic journey. We shared our impressions and stories and thanked each other for the great time we had together. Katya presented a great slideshow of expedition photos, and we once again recalled the great moments of this unique journey.
" I recently returned from my second fantastic trip with Heritage Expeditions. From July 10 to 24, 2017 on "Chukotka, Where Russia's Day Begins." 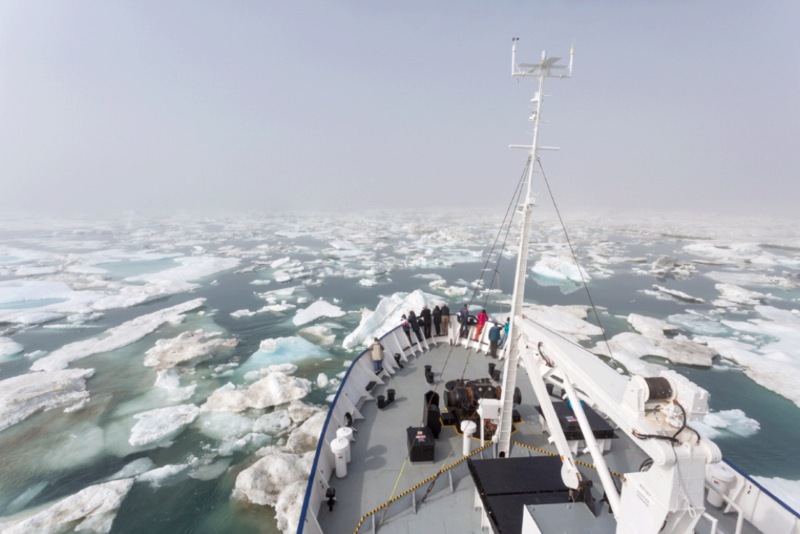 We cruised on the Spirit of Enderby along the Russian Arctic coastline making frequent Zodiac landings including the ship breaking through the ice to Wrangel Island. The staff and guides work hard to make the trip enjoyable for all passengers including us seniors. 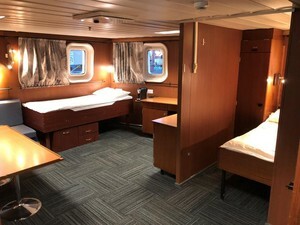 In addition to seeing so much marine wildlife, visiting many historical and cultural sites in this magical, part of the world, I loved life aboard the ship with its small cruise ship atmosphere, delicious food and comfortable accommodations. I give the trip the highest ratings possible and recommend it to anyone who has an interest in this kind of adventure! Marshall Malden, Ashland, Oregon. " " tolle Reise, viele schöne Erlebnisse, hervorragende Mannschaft um Rodney Russ und Besatzung - wie im letzten Jahr ! Perfekt organisiert, und flexibel wenn nötig. Muss man erlebt haben, kann man nicht beschreiben.
" Heritage Expeditions helps you get to the most remote places of ineffable beauty with comfort and ease. I just got back from the "Chukotka: where Russia's Day Begins" expedition that included two days at Wrangel Island. For half of the expedition I was pinching myself to make sure that this is actually real. On this special expedition we met the people, saw and listened to their stories and learned of their love for and strong connection with the land and the sea. Wildlife lovers just couldn't put their cameras down: polar bears, whales, snowy owls, puffins, seals, walruses...there was always some kind of magnificent creature around. Also the relatively small group sizes ensure the most personal touch from the crew and amazing landing opportunities that big groups do not have. " " Congratulations and well done, Heritage Expeditions, not only for an incredible trip, but also for creating an outstanding company with integrity and genuine passion for sharing the marvels of the natural world with your travelers. Chukotka aboard the Spirit of Enderby was undoubtedly one of the most inspiring and eye-opening trips I've taken. I had never visited Russia previously, and to start with the region furthest from Moscow with a dynamic team of passionate and highly experienced hosts was a tremendous privilege. I was extremely impressed with how the voyage was executed overall, especially for a new itinerary. Some of the landings were first-time visits, so staff and passengers alike explored through a similar lens—adding further to the expeditionary excitement. Yet, it was evident that each shore visit had been carefully researched and planned. 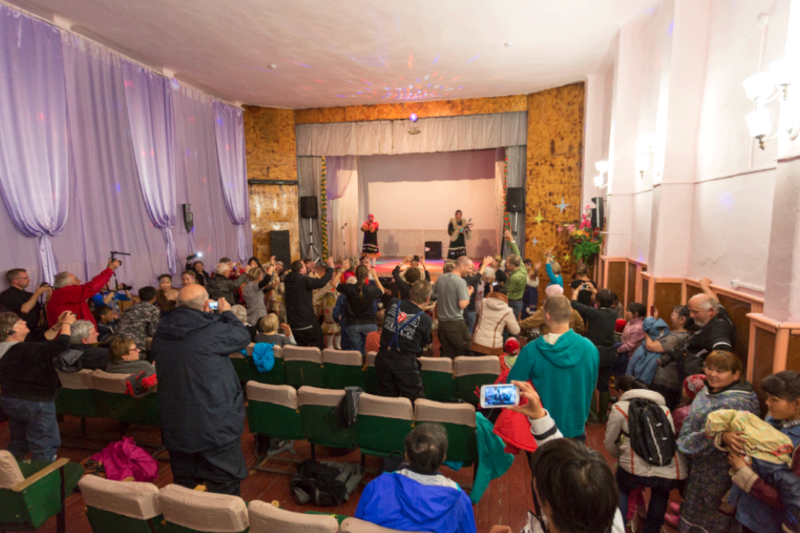 Both on and off the ship, the tone was casual, fun and still every bit professional to ensure we felt safe and comfortable within the isolated and unpredictable environment that is northeastern Siberia. Not only did this trip establish several “firsts” for me, but it also brought to light new perspectives. For the first time, I walked on Russian soil, crossed the Arctic Circle, admired migratory birds numbering in the thousands, tasted whale meat, watched whaleboat races, saw pods of walrus and even a spouting bow whale! But, I also developed a greater appreciation for both bird-watching and birding (bird-watchers look at birds; birders look for them). I gained a better understanding of the challenges and enormous efforts behind wildlife conservation projects; and I realized the complex circumstances indigenous populations here face, framed in the context of geography, history, culture, and present-day Russian economies. And, while I expected beautiful tundra scenery, I had not imagined feeling simultaneously such a prevailing sense of awe and peace… To tread over pristine lichen and moss like grazing reindeer and suddenly feel engulfed by a deafening, magical silence amid vast, sweeping tundra is an experience carved into the bones of my memory. Chukotka is multi-dimensional. It’s wildlife, wilderness, and people weave a colorful tapestry, and this two-week expedition beautifully introduced its many layers. We all came away from this trip feeling inspired by the natural world and awakened to a foreign way of life in a remarkably remote corner of the world. Thank you for this poignant experience!
" Voyaging with Heritage Expeditions is unbeatable - globally - the true essence and meaning of exploration fills every moment of every voyage: thanks to the most extraordinary Rodney, Aaron and Nathan for bringing these "beyond the realm" experiences into our human souls, to be treasured forever. " " Hi everyone in the office and on board the Spirit of Enderby, we wish to thank you all for a most enjoyable expedition. Everything was to our satisfaction and brought back memories of our Galapagos of the Southern Ocean trip in December 2009. " " The expedition was just FABULOUS!!!!! Rodney is a terrific leader and very professional in his role, with a real passion for the wilderness. The staff were outstanding, helpful, gregarious and we all thoroughly enjoyed the lectures and the sharing of experiences. Food was excellent! Doctor Amama is a true delight! I hope I have an opportunity to travel again on the Spirit of Enderby. Its quite a cozy little ship! "